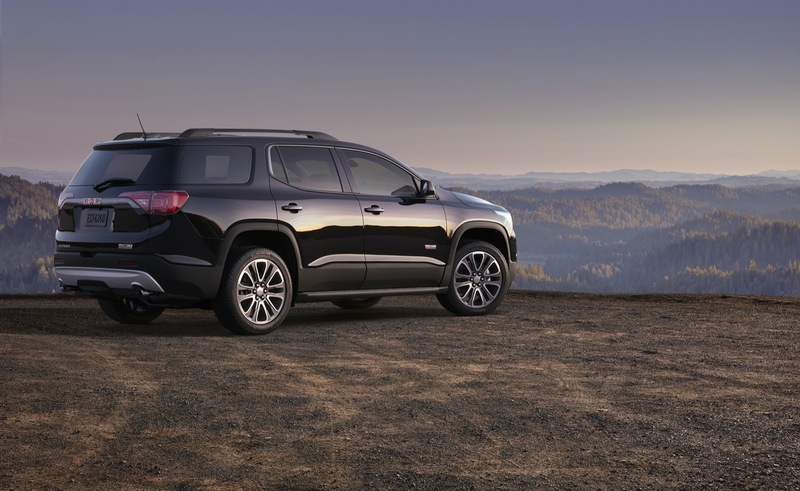 GMC Acadia sales increased in the United States and decreased in Mexico during the first quarter of 2019. 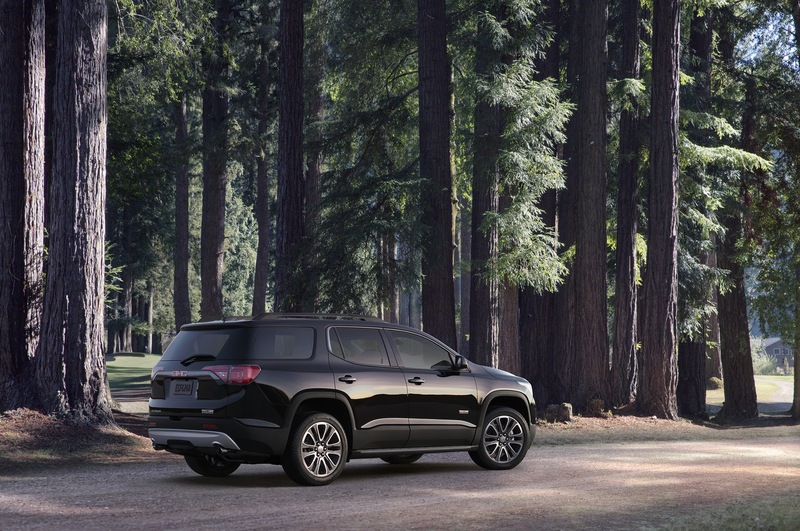 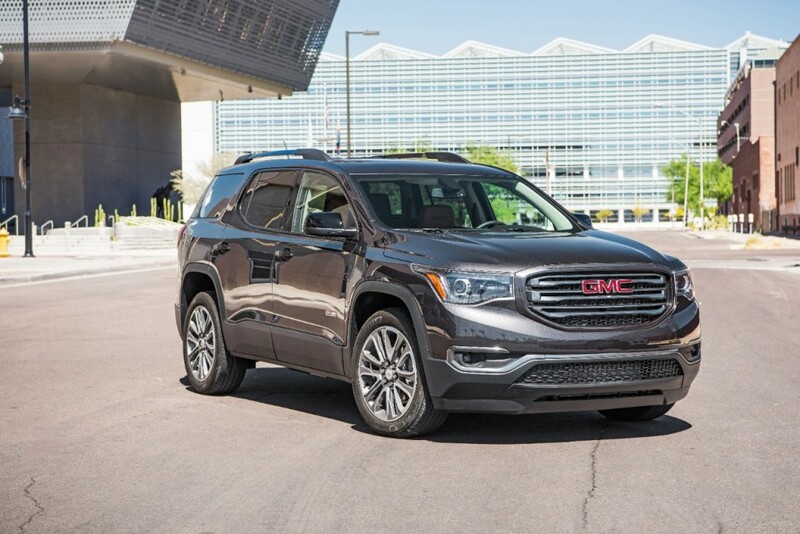 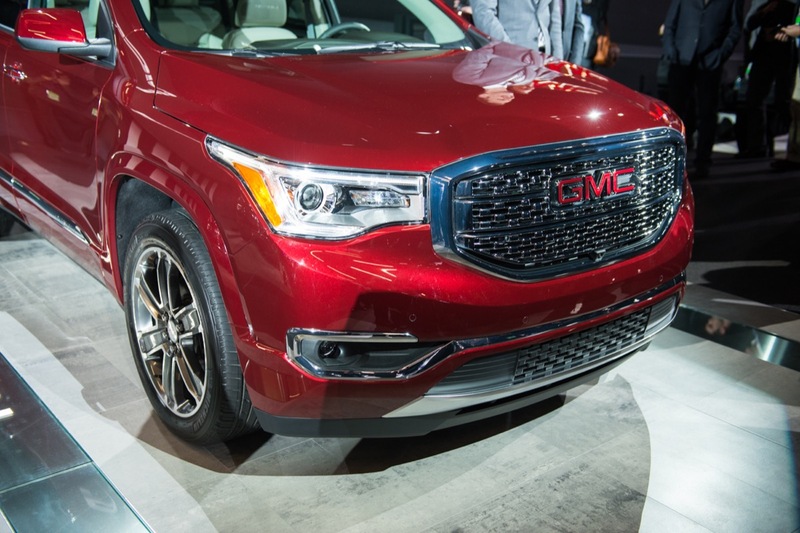 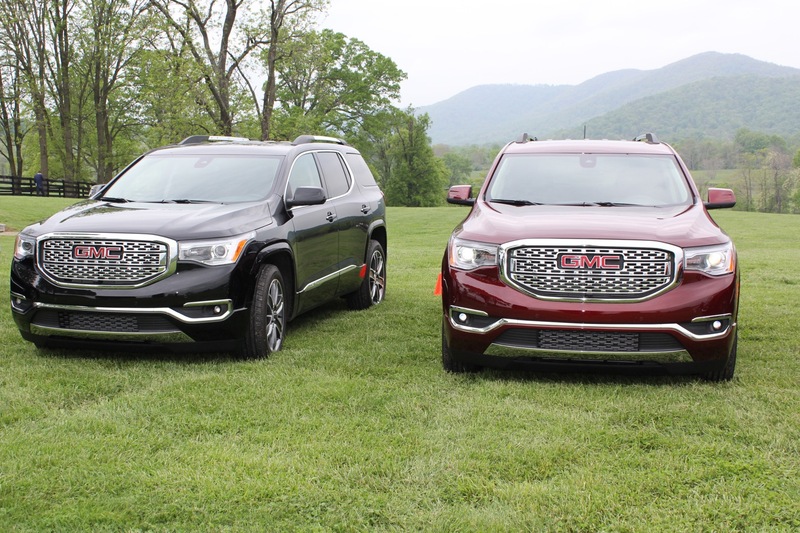 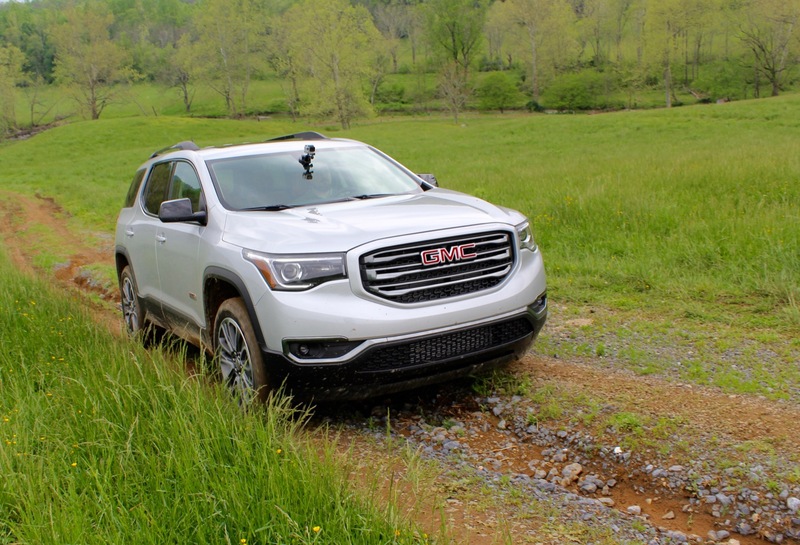 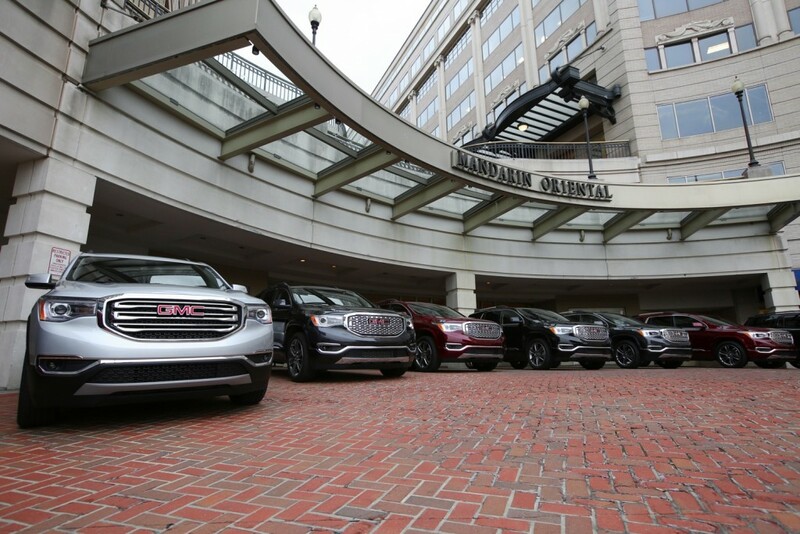 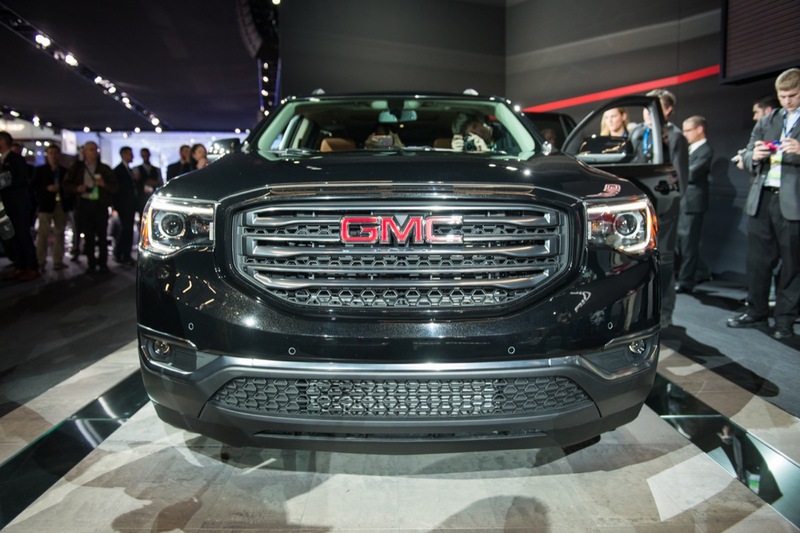 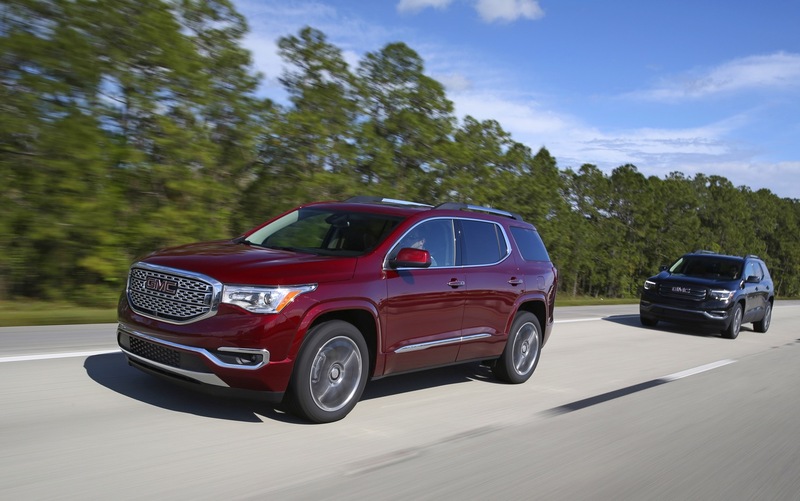 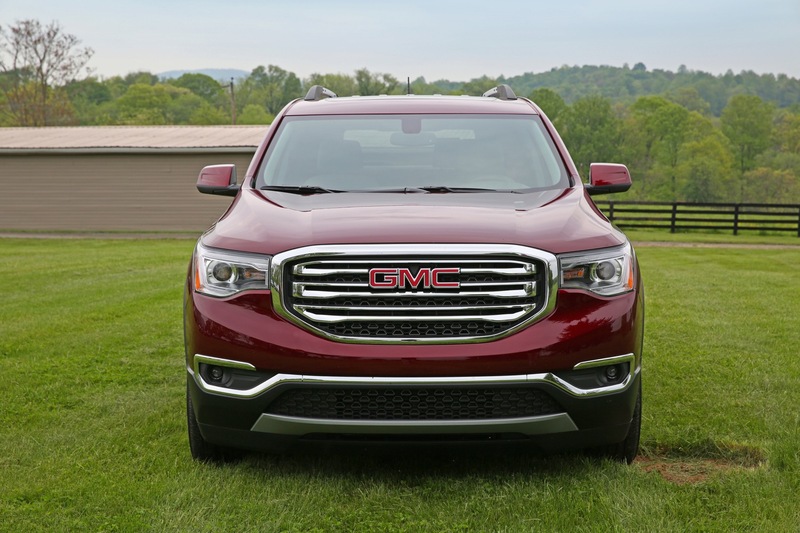 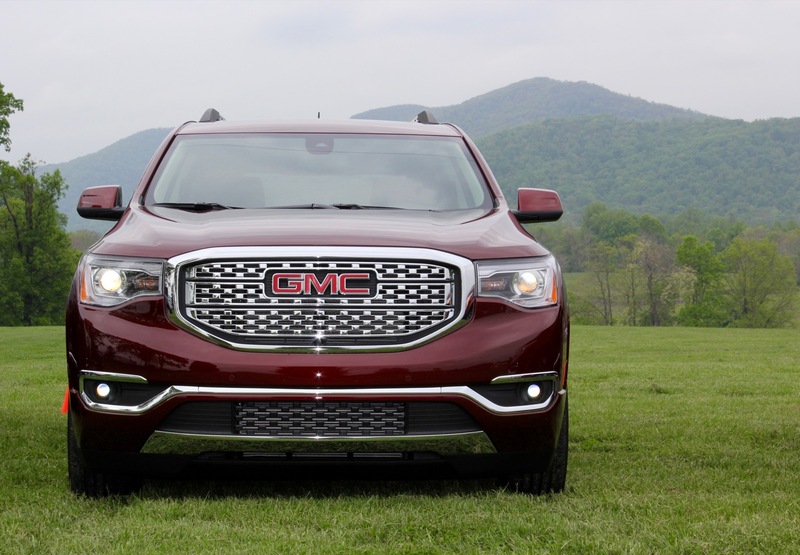 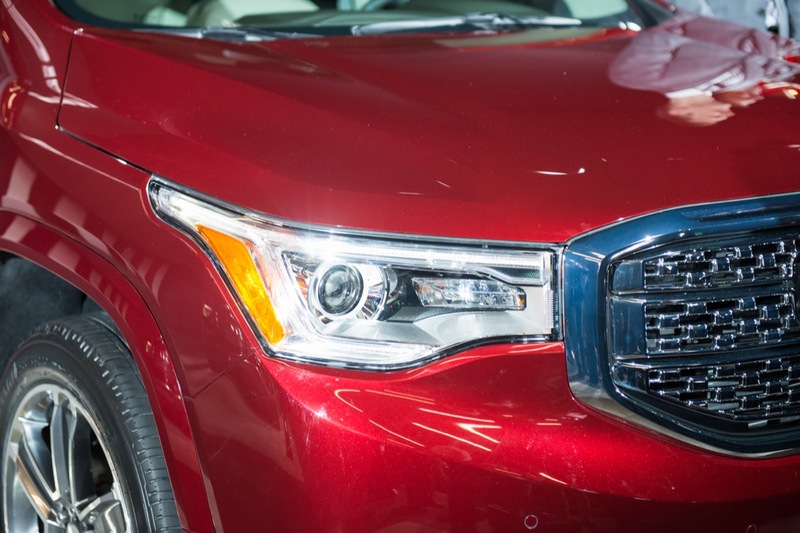 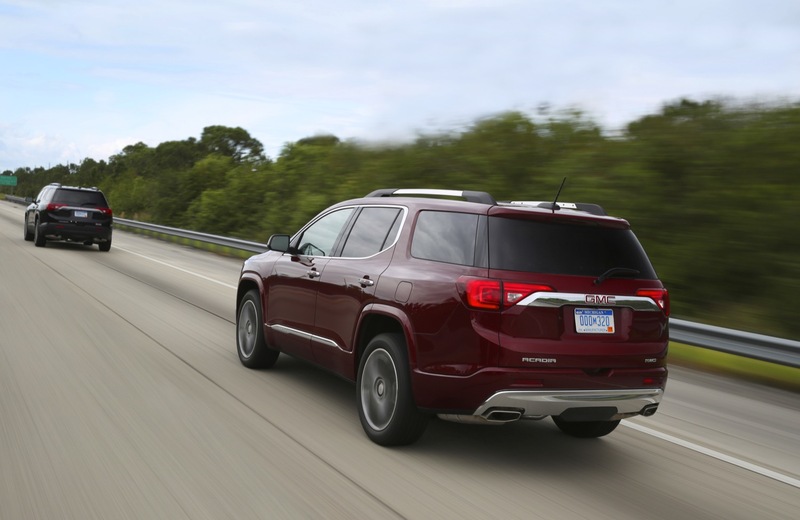 In the United States, GMC Acadia deliveries totaled 31,200 units in Q1 2019, an increase of about 4 percent compared to 29,900 units sold in Q1 2018. 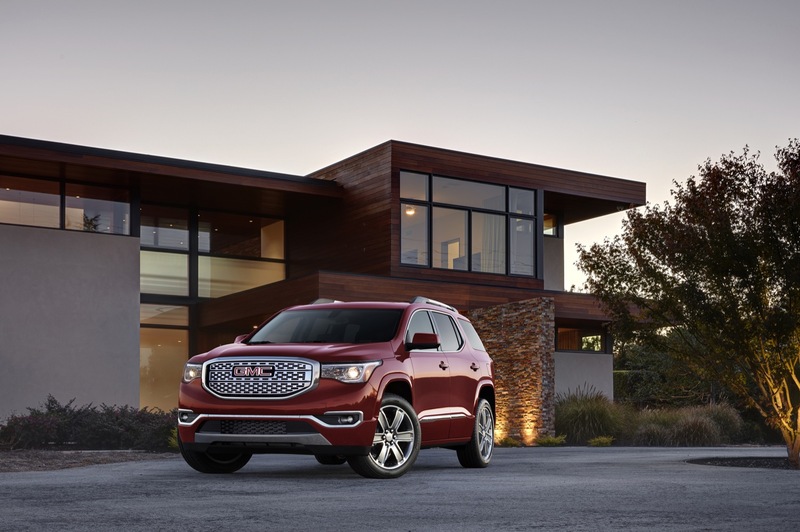 The results represent the model's best-ever quarterly sales performance. 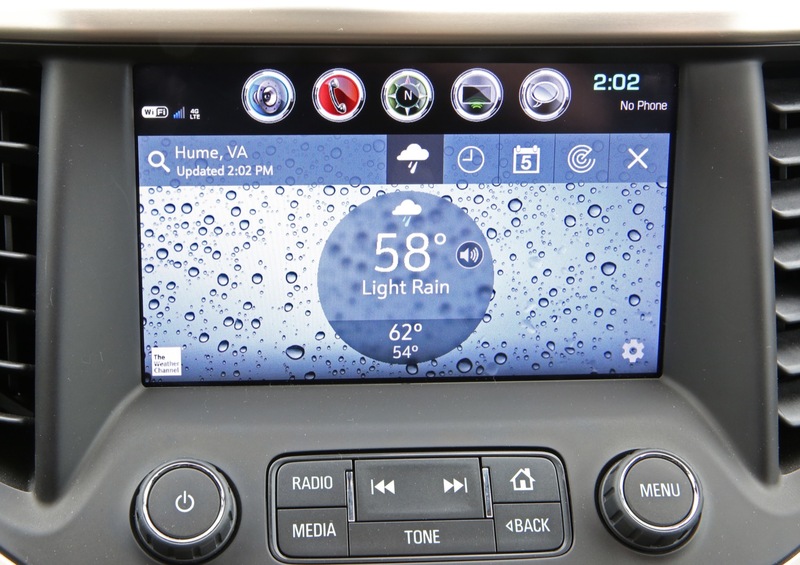 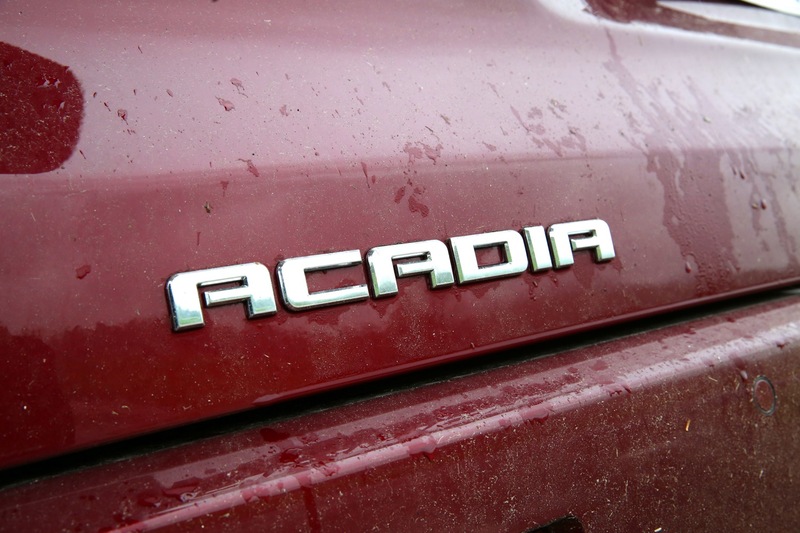 In the first three months of the year, Acadia sales increased about 4 percent to 31,200 units. 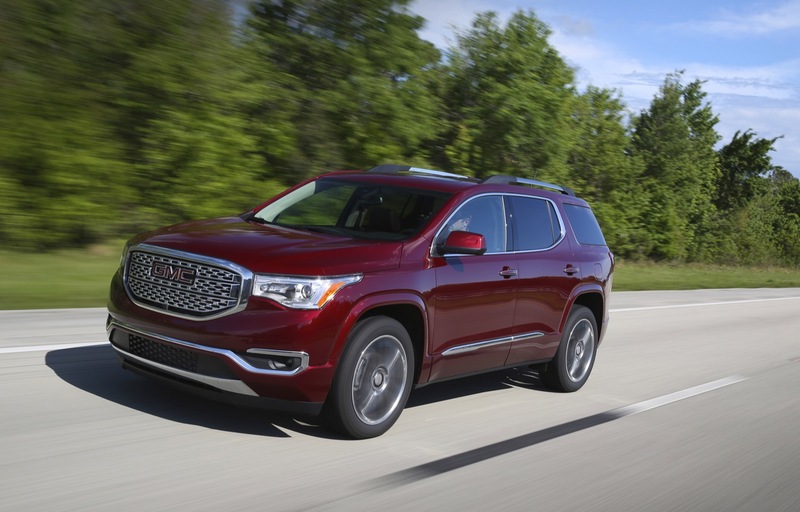 In Mexico, GMC Acadia deliveries totaled 233 units in Q1 2019, a decrease of about 15 percent compared to 274 units sold in Q1 2018. In the first three months of the year, Acadia sales decreased about 15 percent to 233 units. 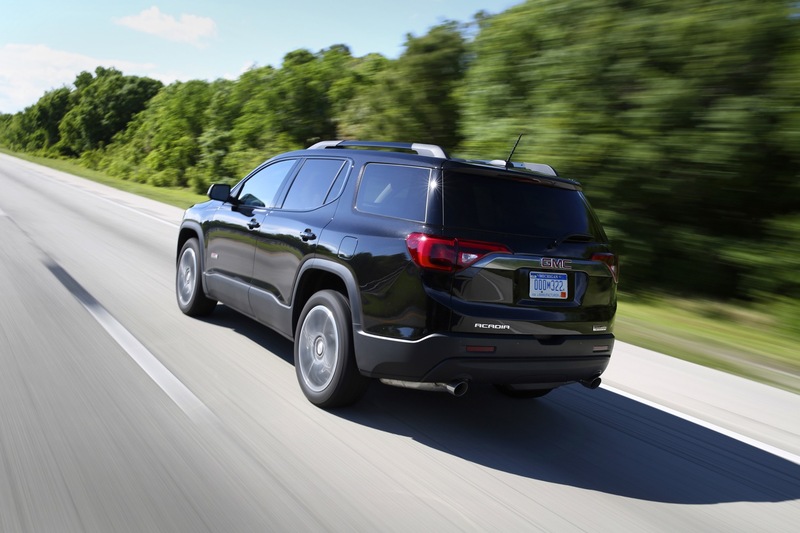 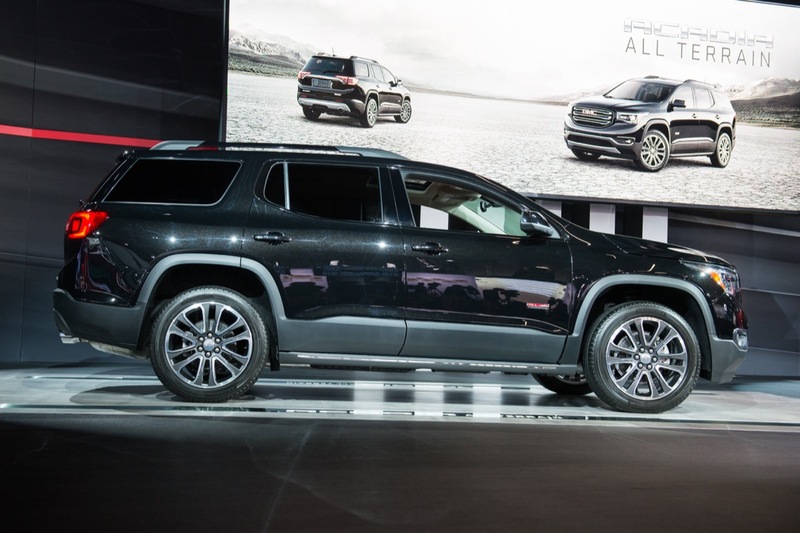 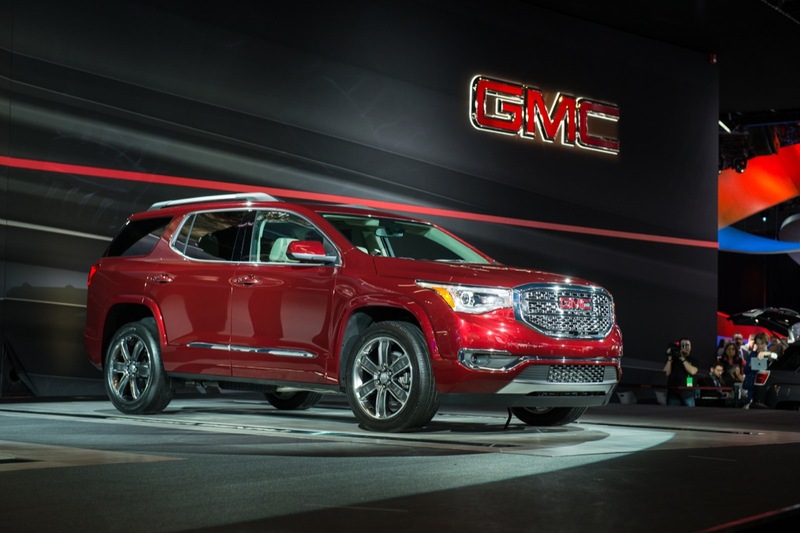 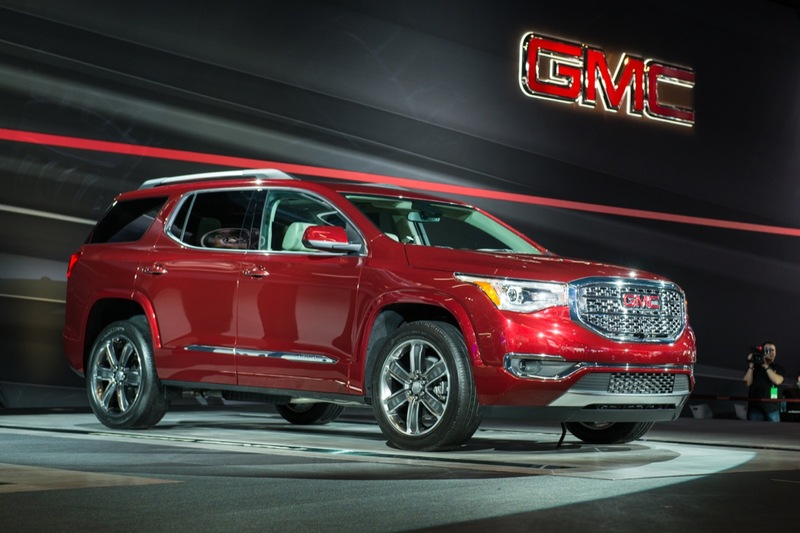 As GMC Acadia sales posted a first-quarter record, the midsize crossover rose to sixth place in its competitive set in terms of overall sales volume out of a total of 17 competitors. 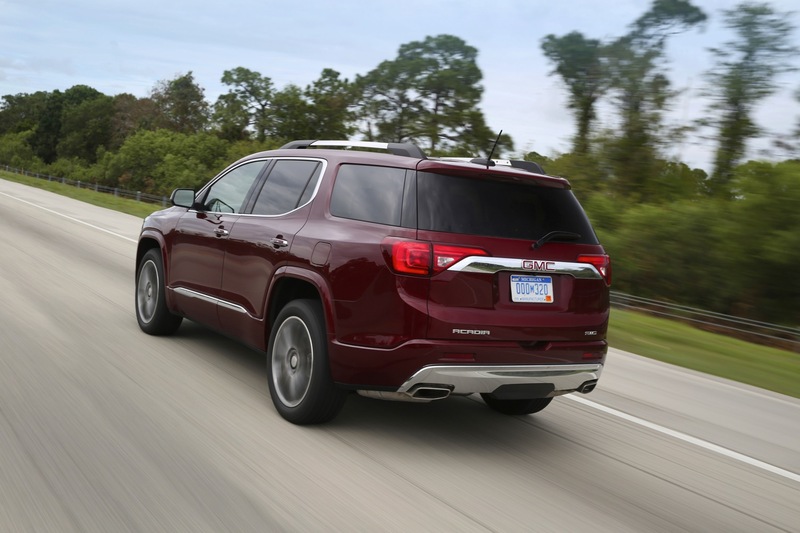 The model was outsold roughly two-fold by the Ford Explorer (see Ford Explorer sales), Jeep Grand Cherokee (see Jeep Grand Cherokee sales), Toyota Highlander, the Acadia’s corporate cousin – the Chevrolet Traverse (which rides on a longer version of the Acadia’s C1 vehicle architecture; see Chevy Traverse sales), as well as the Honda Pilot. 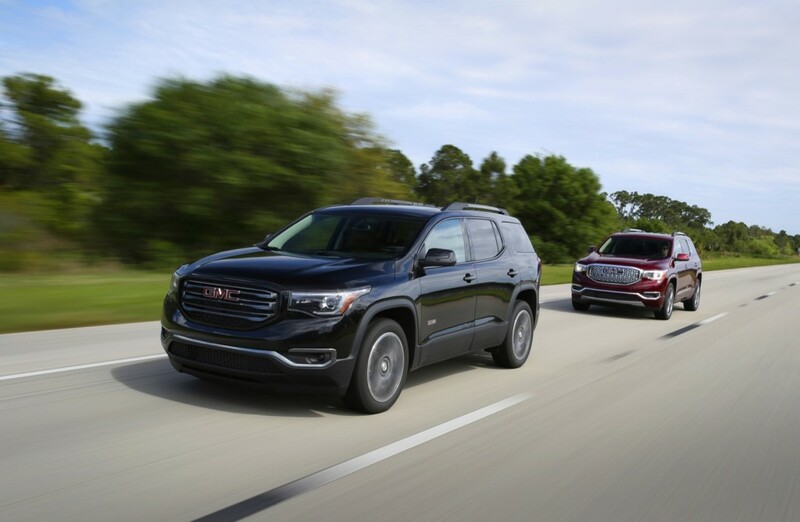 The Acadia outsold all other segment contenders, including the Ford Edge (see Ford Edge sales), Hyundai Santa Fe, Kia Sorento, the all-new Subaru Ascent, Nissan Pathfinder, Dodge Durango (see Dodge Durango sales), Volkswagen Atlas (see VW Atlas sales), Mitsubishi Outlander, Nissan Murano, Mazda CX-9 (see Mazda CX-9 sales), as well as the new Kia Telluride and Chevrolet Blazer, both of which are currently being launched into the market and therefore are not widely available at the retail level. 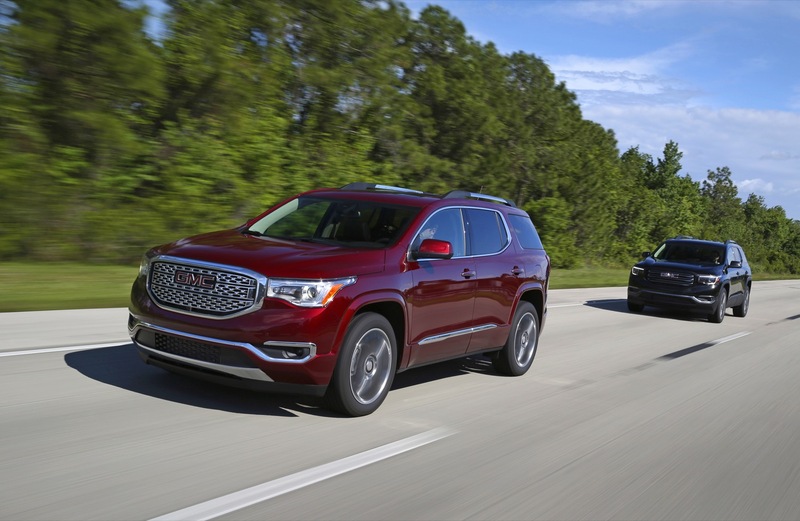 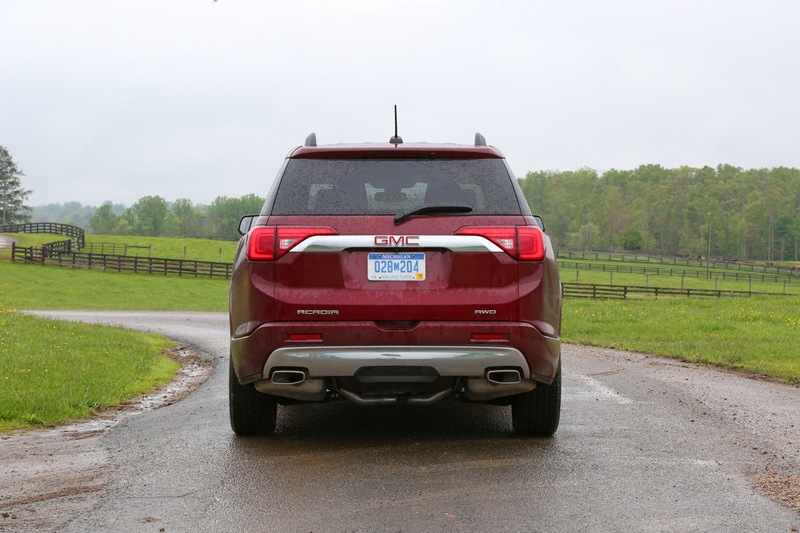 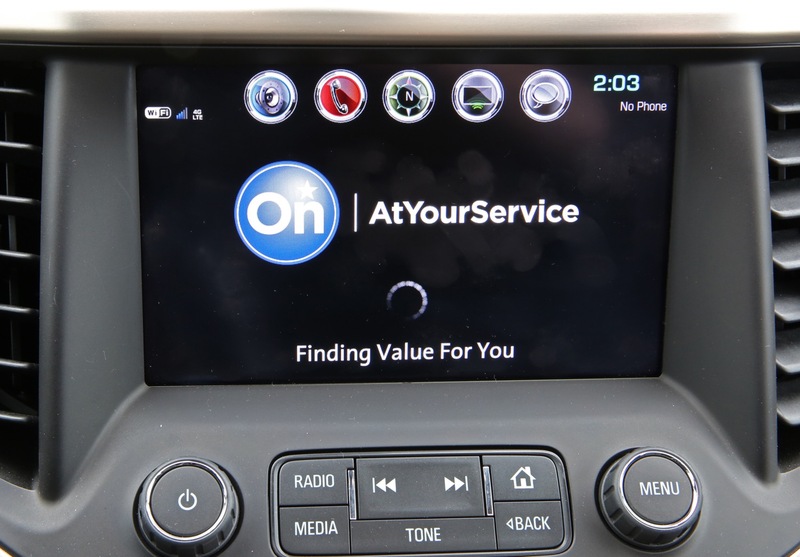 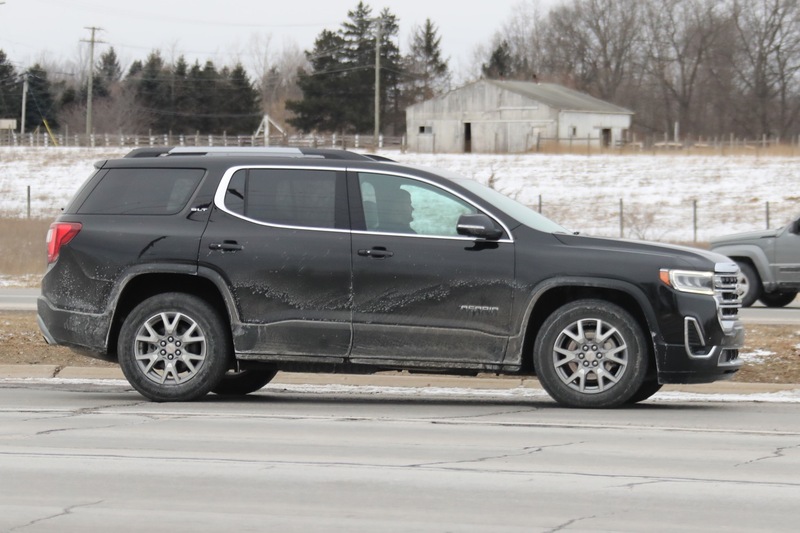 Overall, the Acadia saw a segment share of 7 percent, which is notably below the 13 percent combined share enjoyed by the Ford Explorer and Police Interceptor Utility or the 12 percent participation of the Jeep Grand Cherokee. 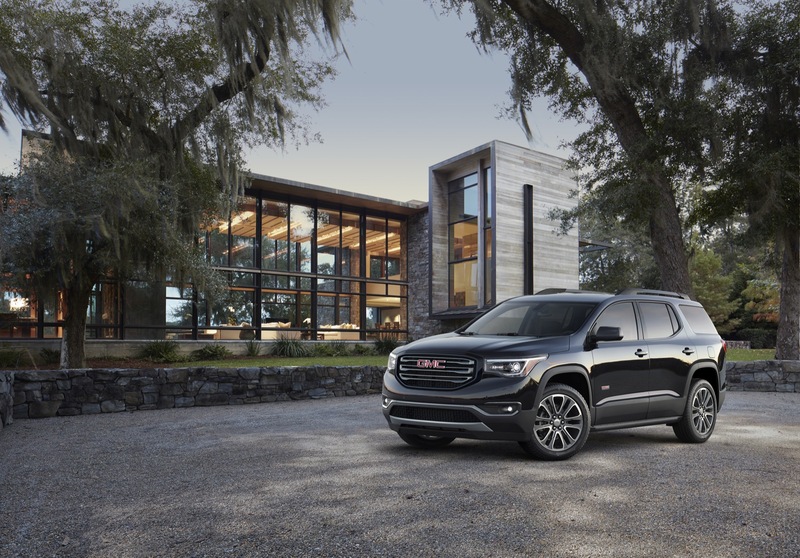 In addition, the 4.35 percent growth rate of GMC Acadia sales enabled the vehicle to outpace the segment average growth of 3.34 percent. 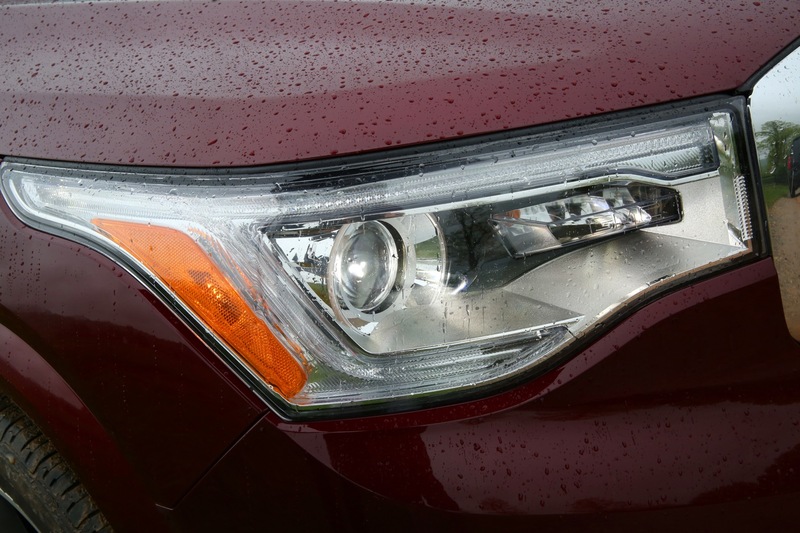 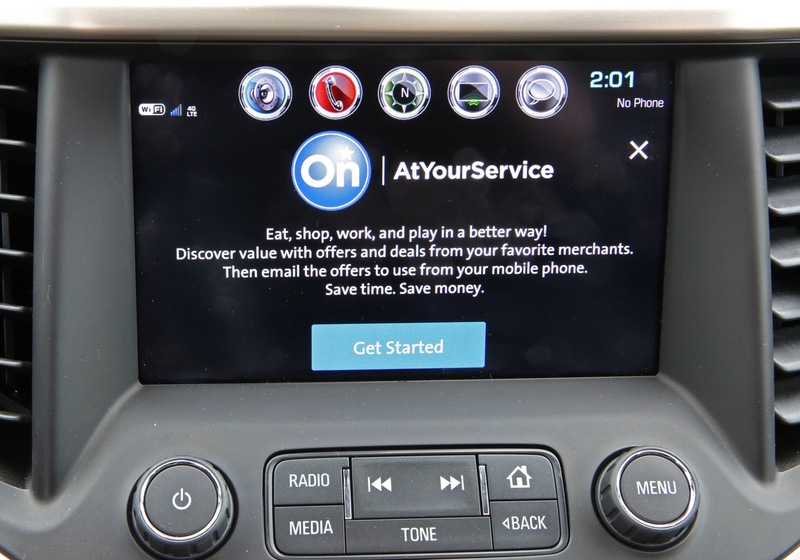 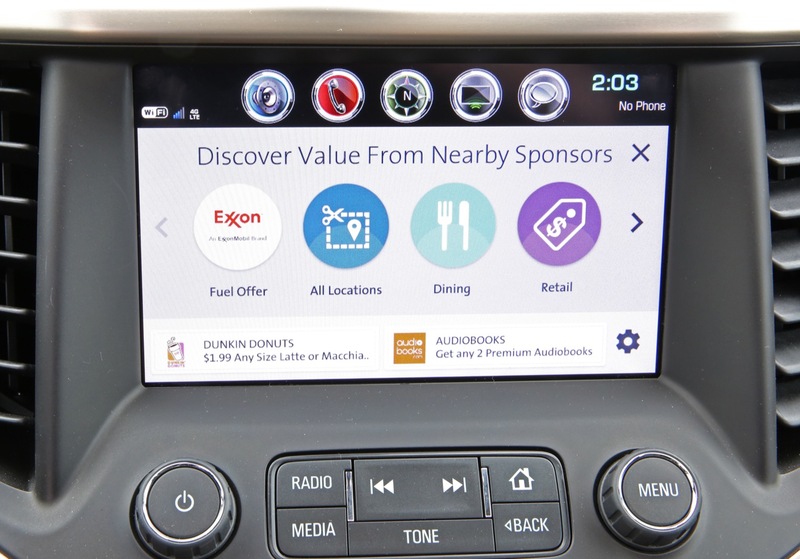 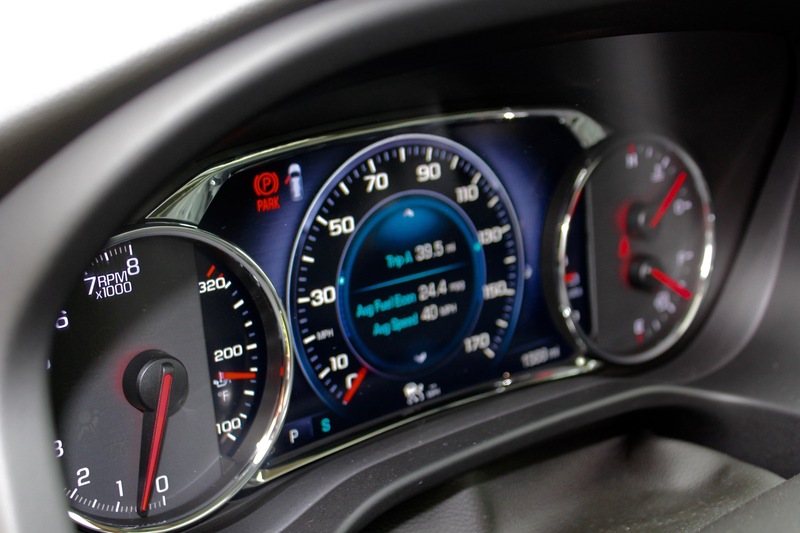 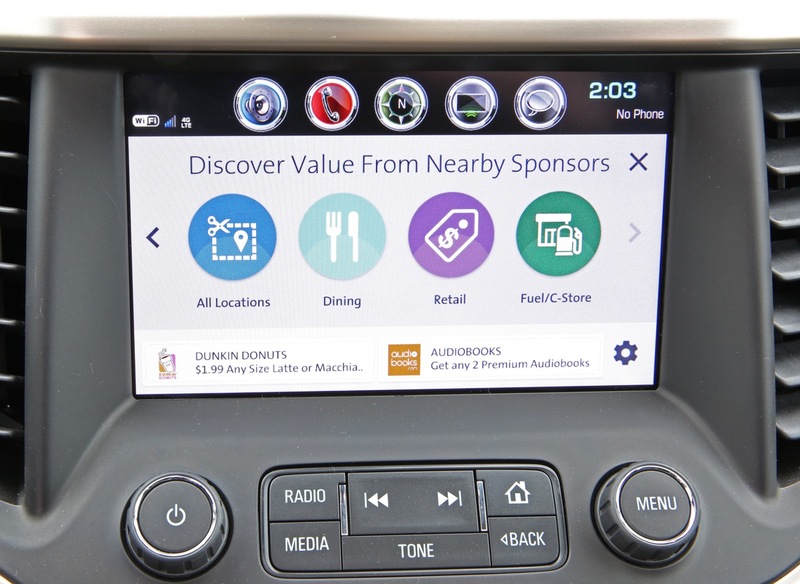 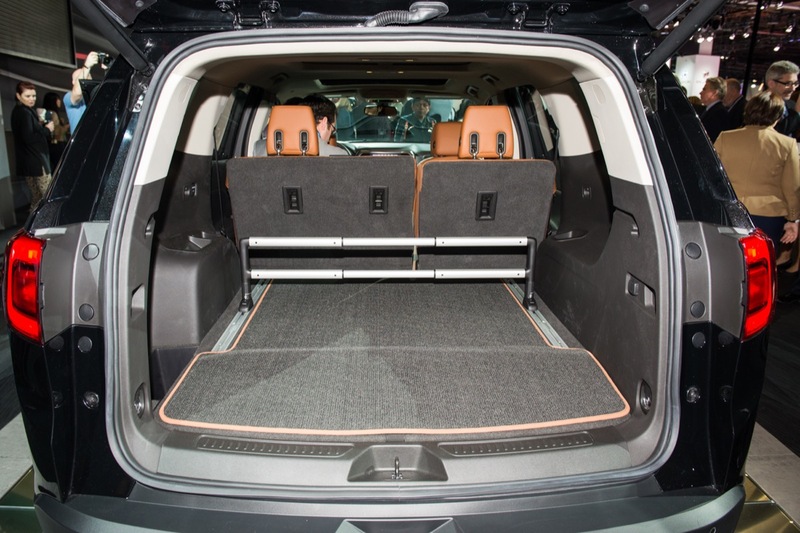 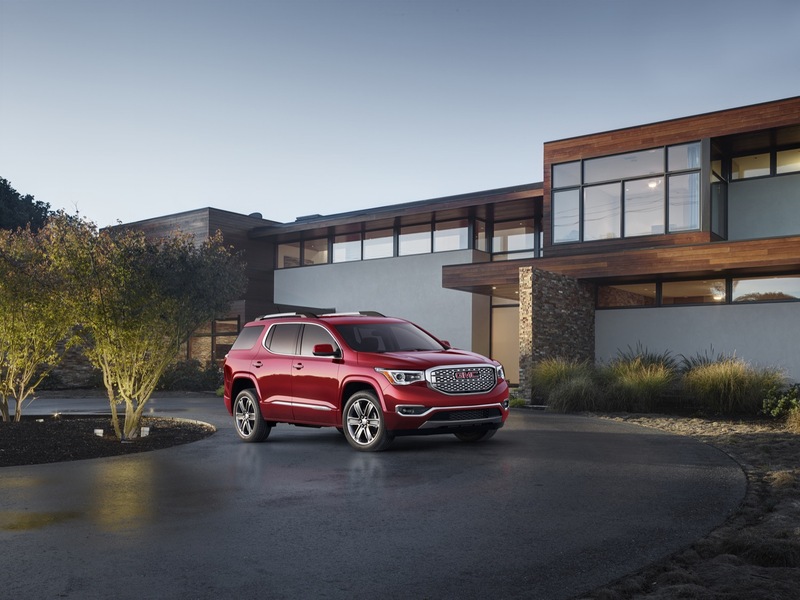 The mainstream mid- and full-size crossover segments, comprised of CUVs with a starting price in the vicinity of $30,000, expanded 3.34 percent to 463,624 units in Q1 2019. 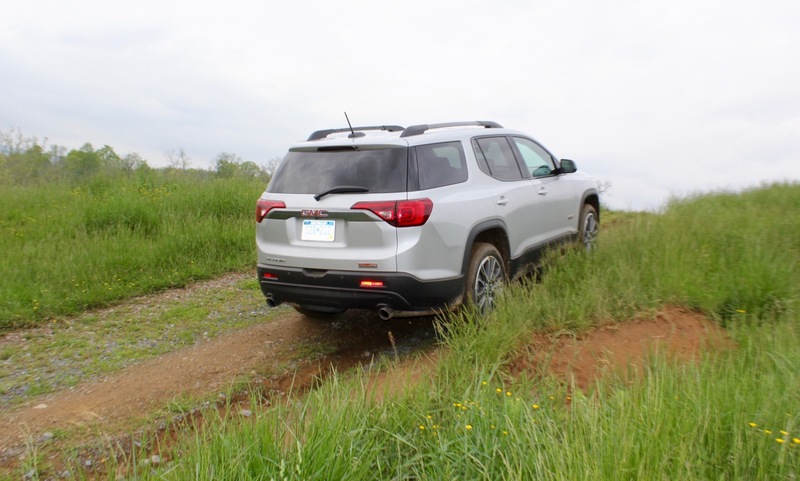 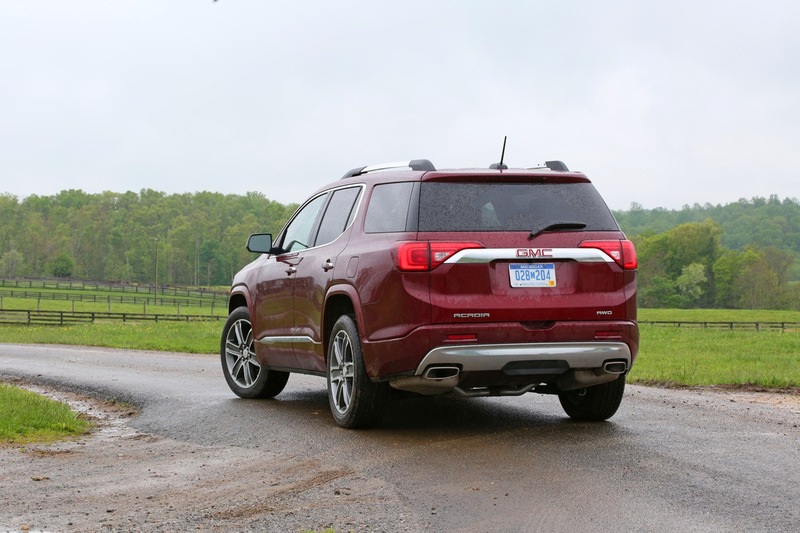 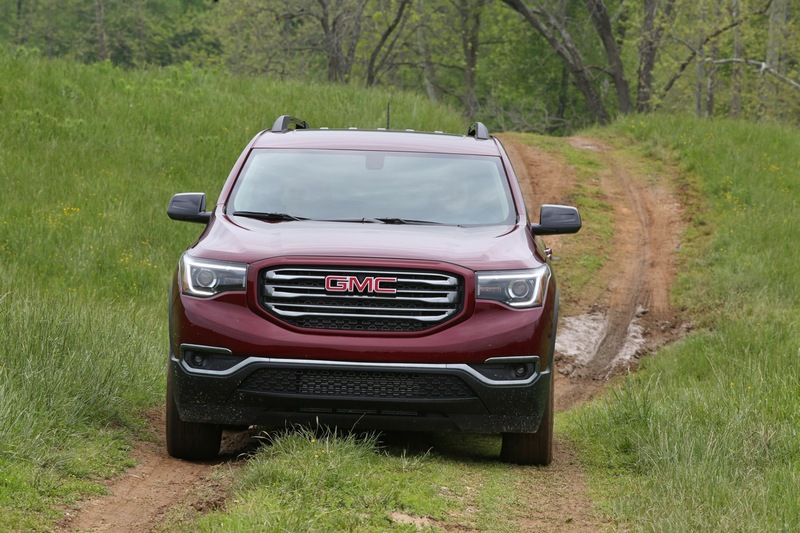 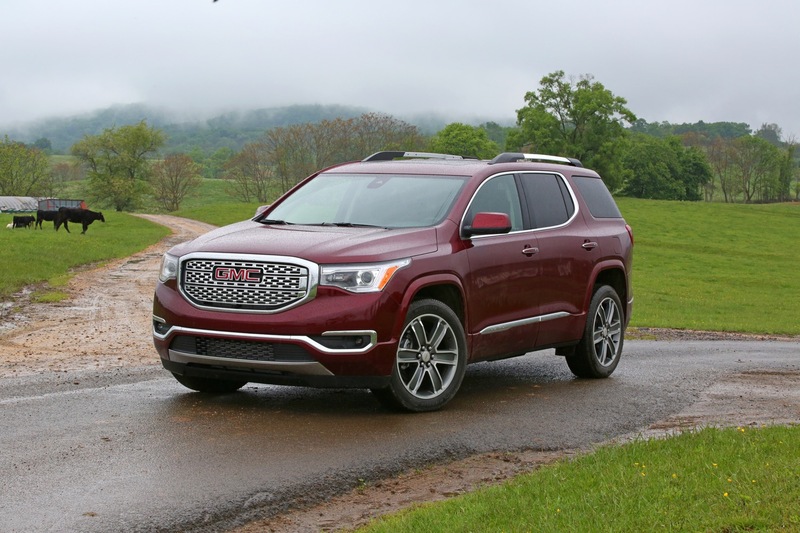 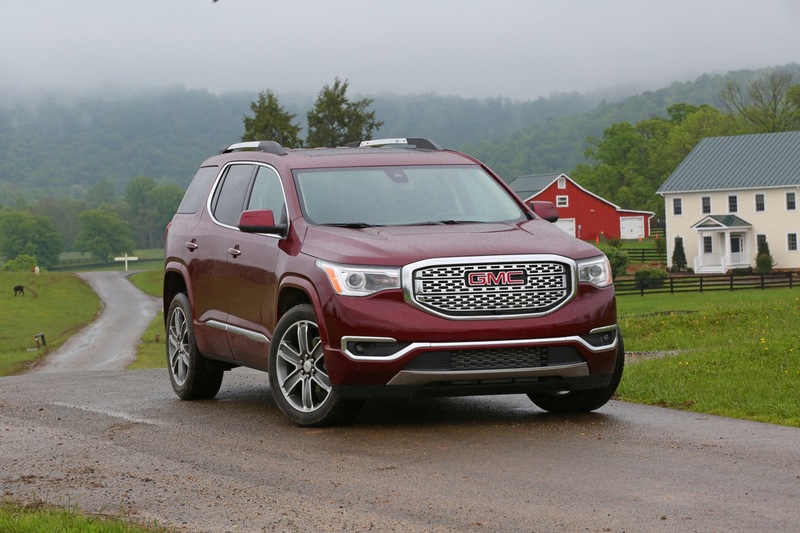 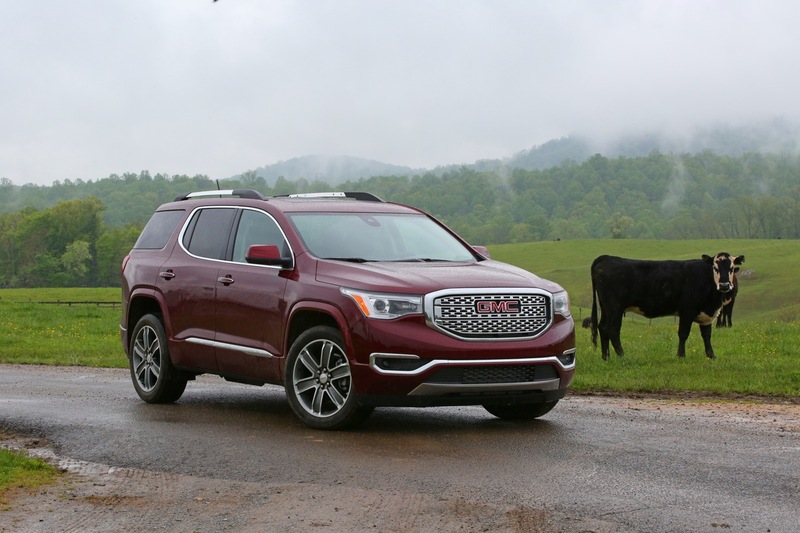 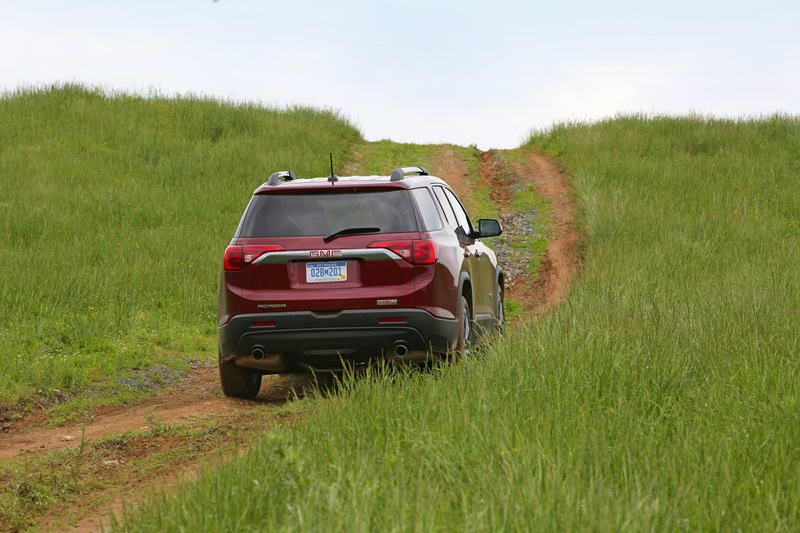 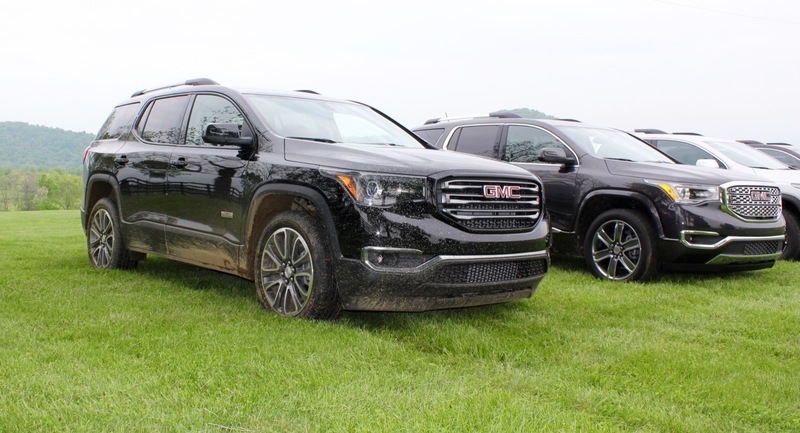 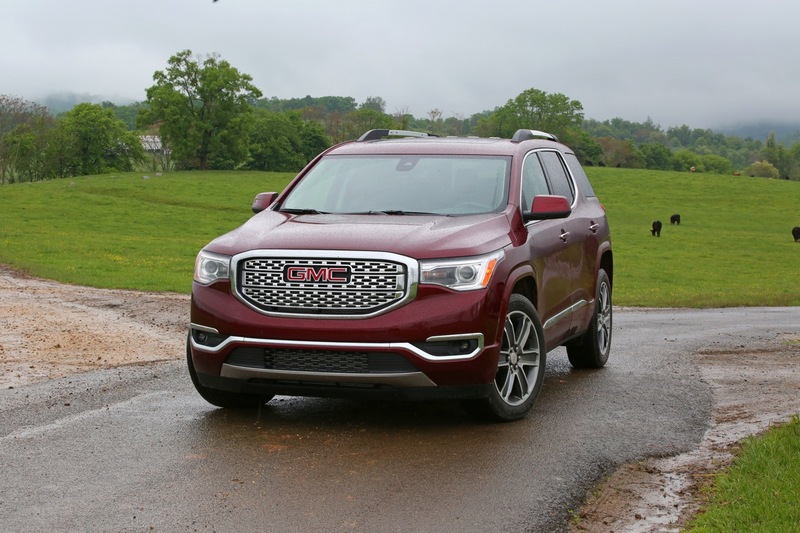 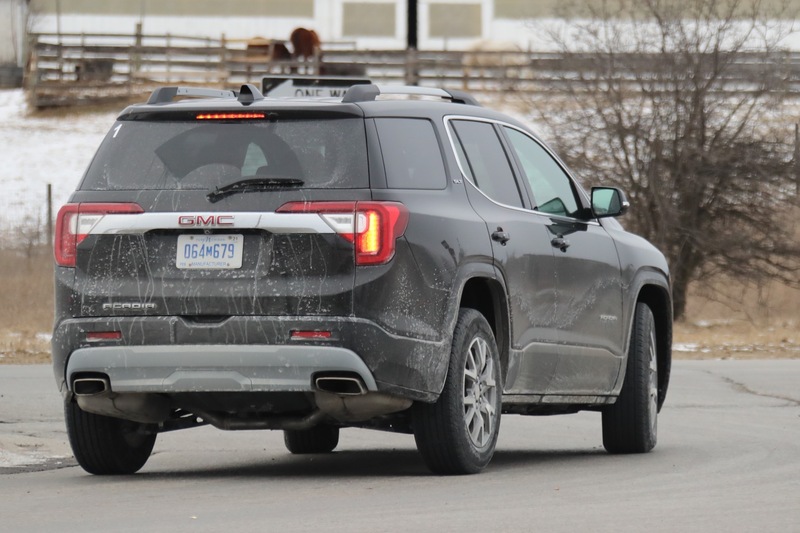 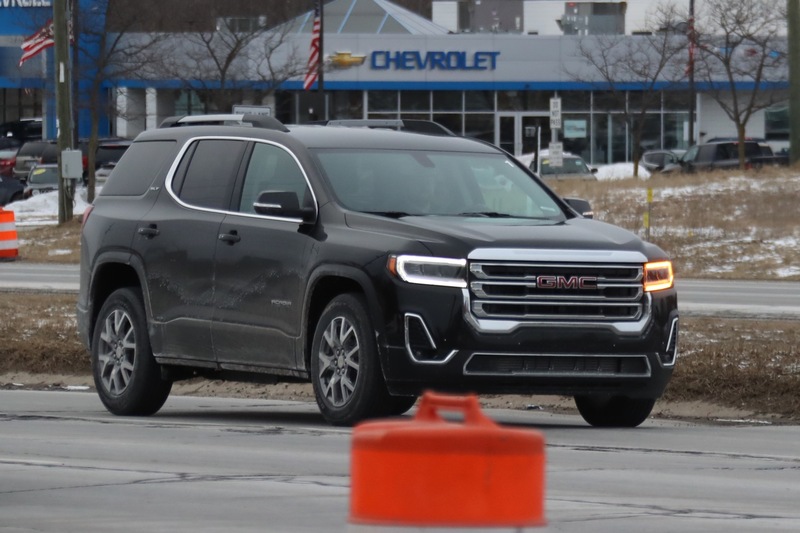 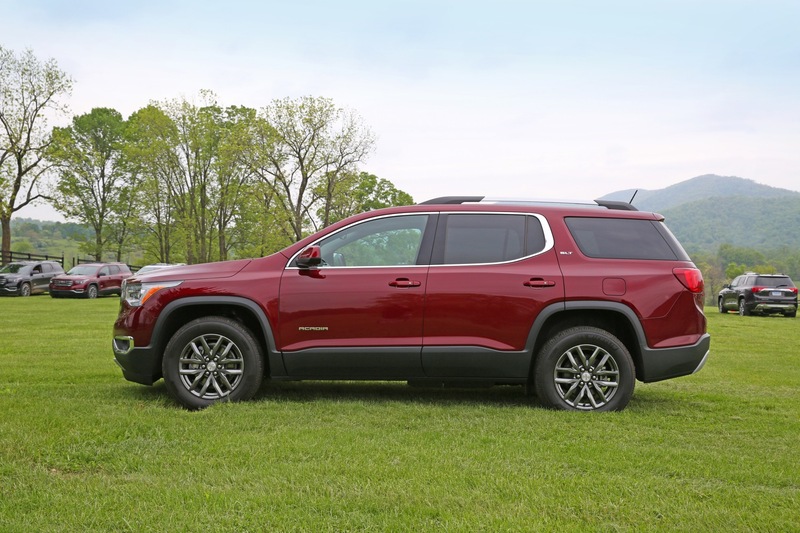 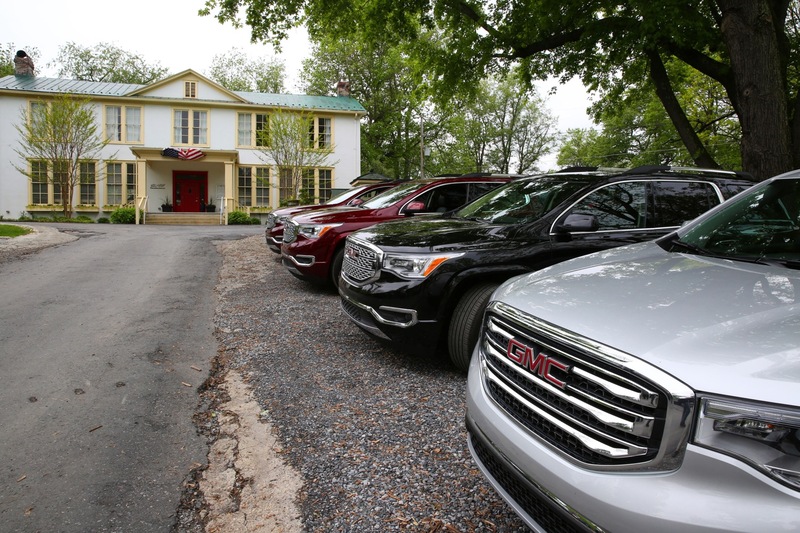 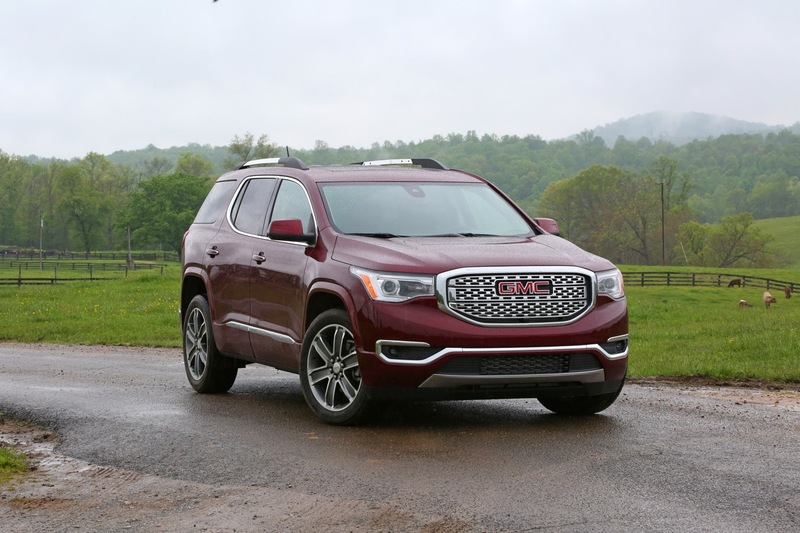 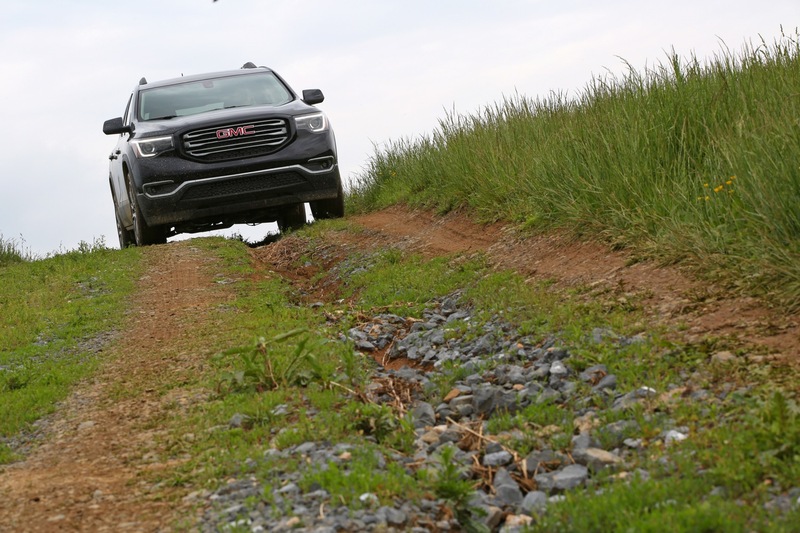 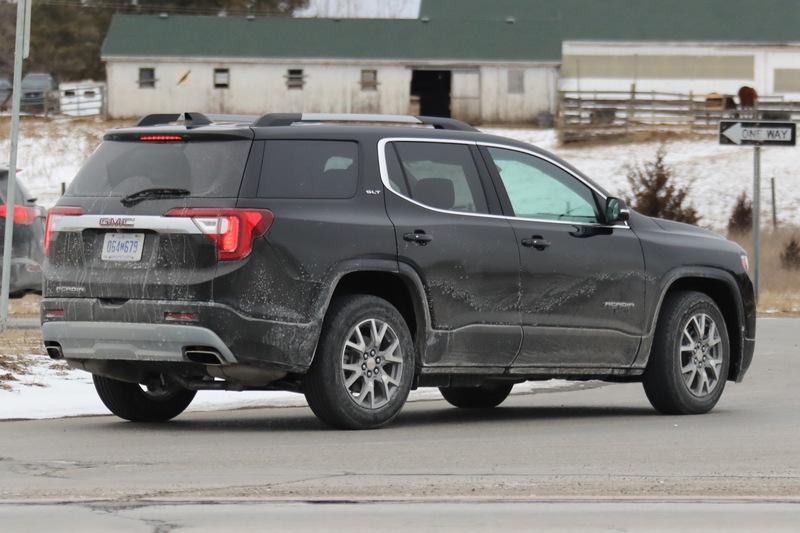 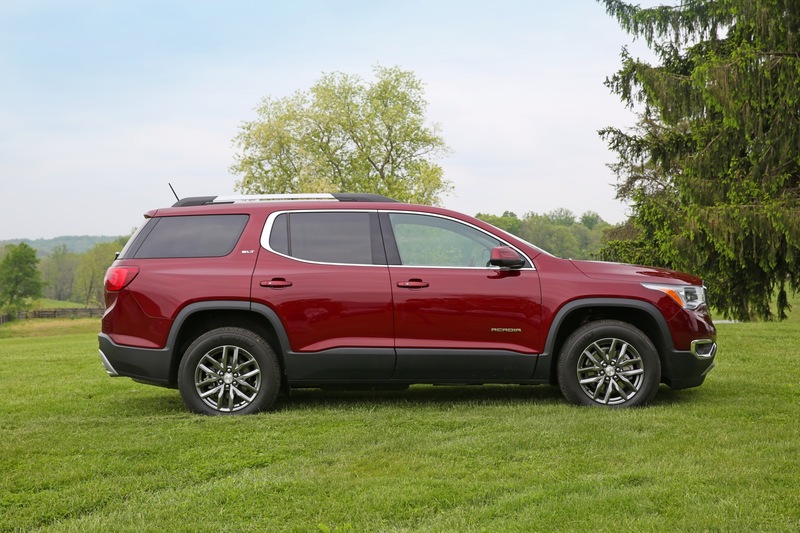 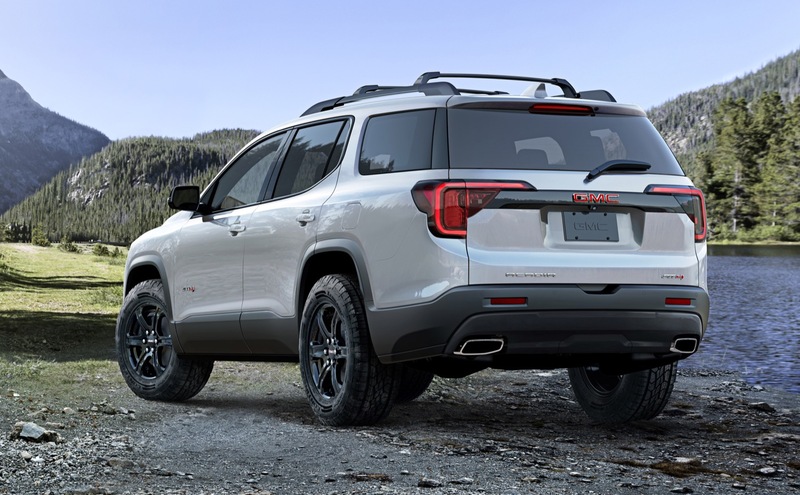 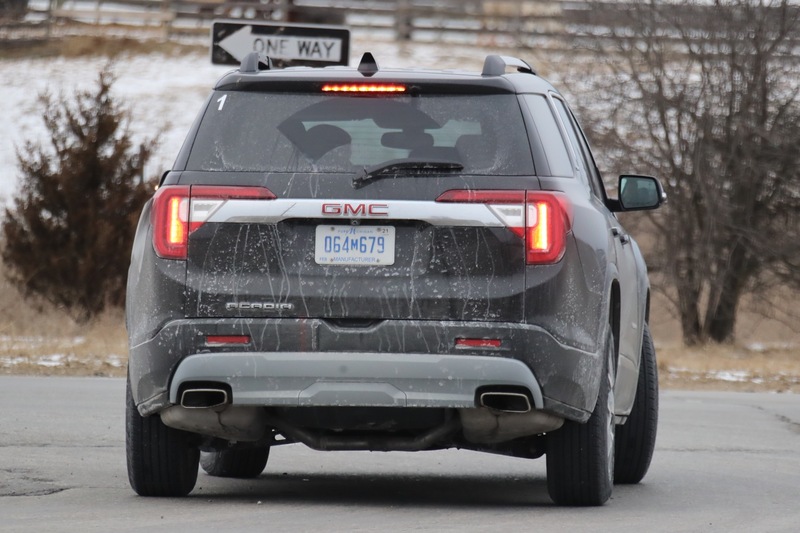 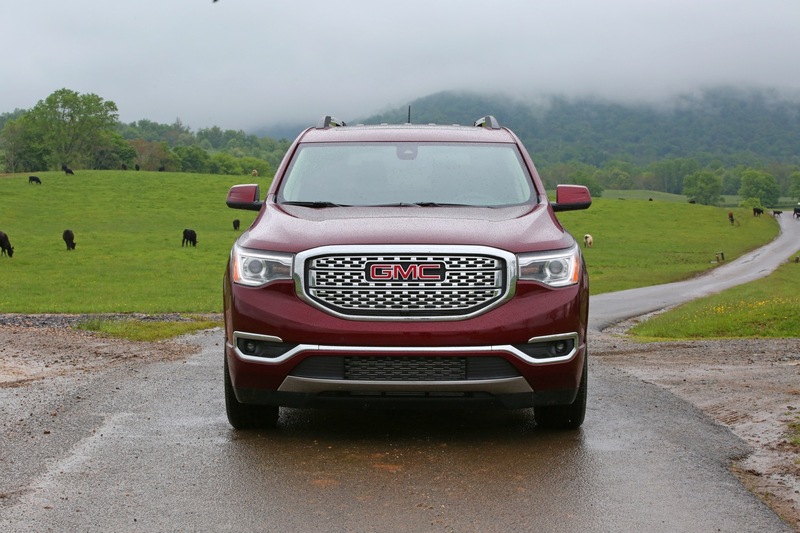 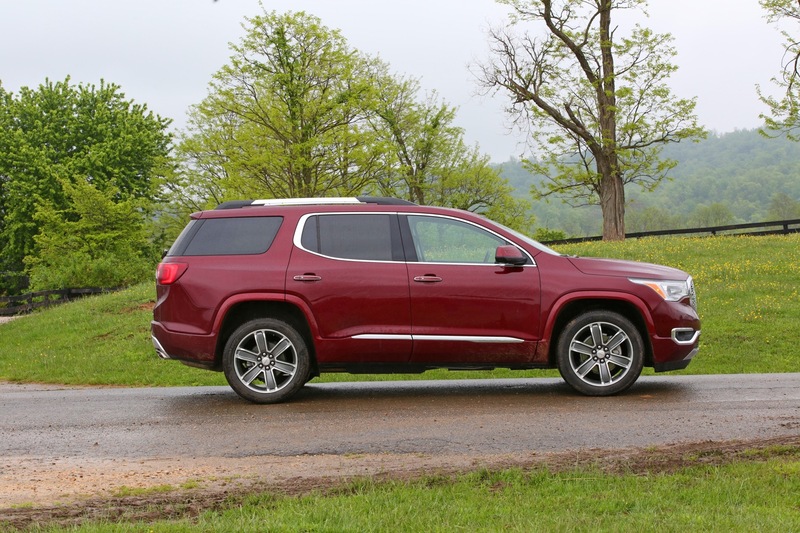 The rebound in GMC Acadia sales in the first quarter of 2019 is very welcomed news given that sales dropped nearly 21 percent during the 2018 calendar year. 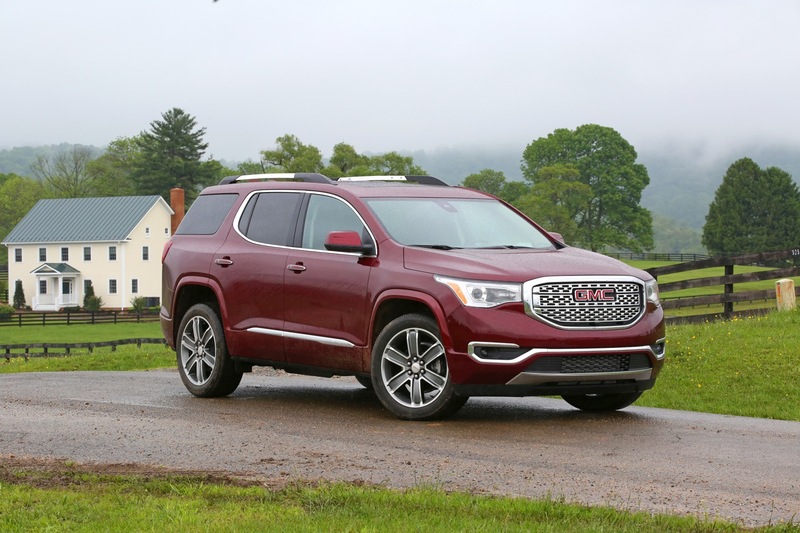 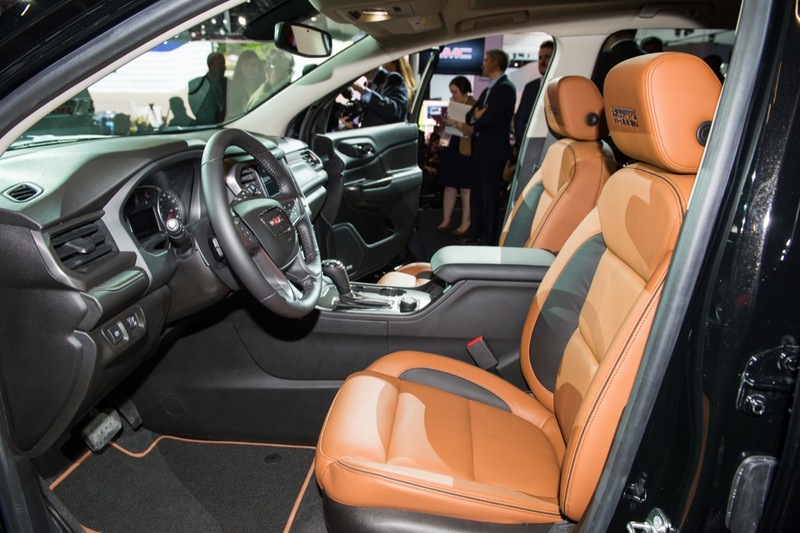 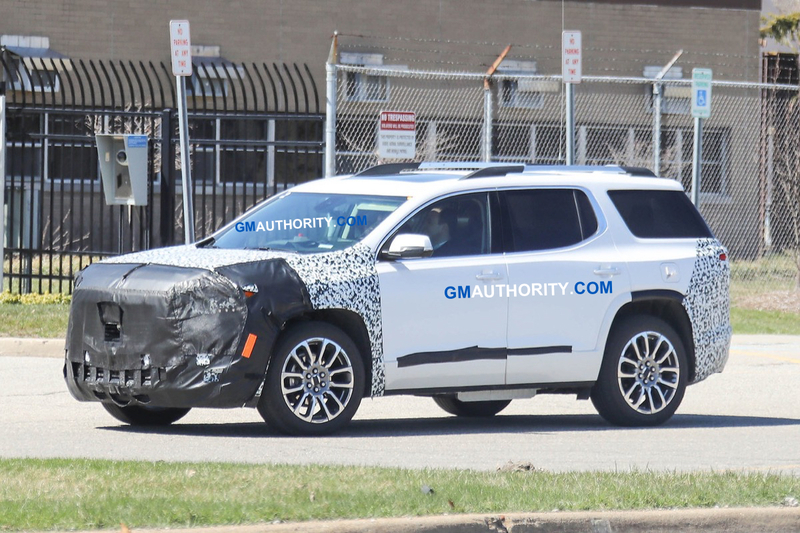 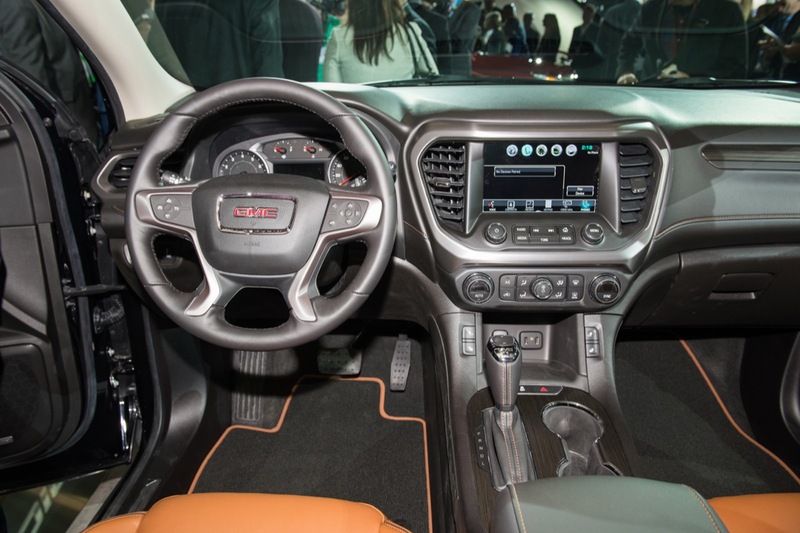 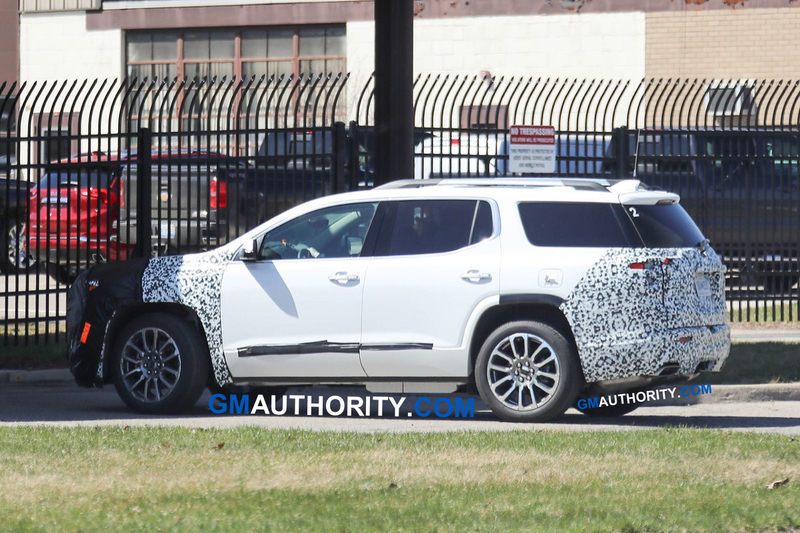 Going forward, the GMC Acadia is well-positioned to take advantage of the ongoing change in consumer buying dynamics that sees buyers switch from sedans to crossovers. 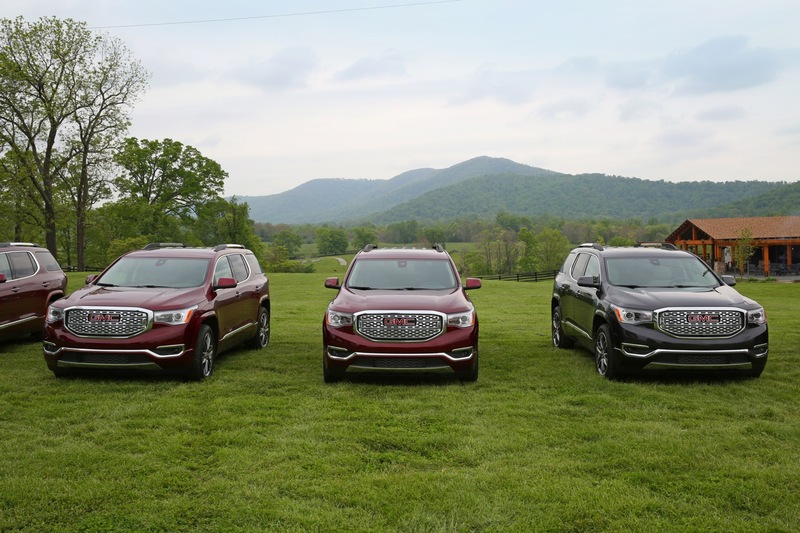 That said, the already competitive segment will get even more crowded with all-new offerings from the likes of the Hyundai Palisade and Kia Telluride, which are a size class larger than the Acadia but still fulfill the general requirements of a three-row mainstream crossover. 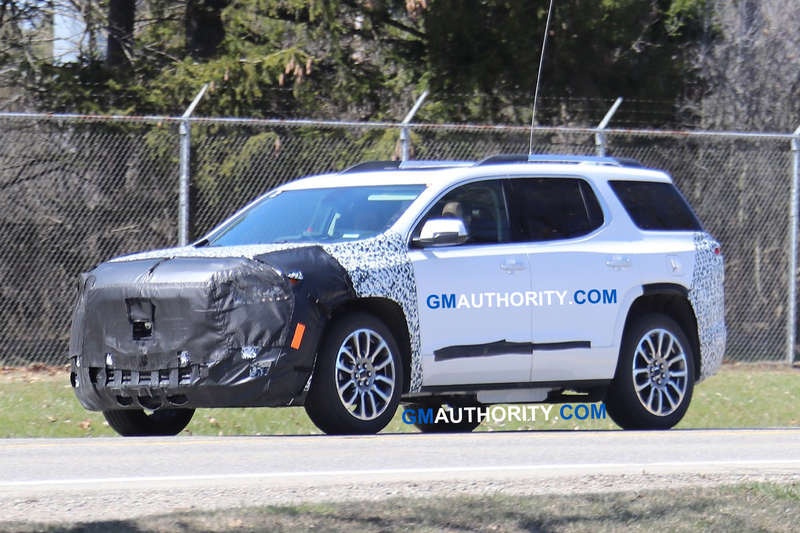 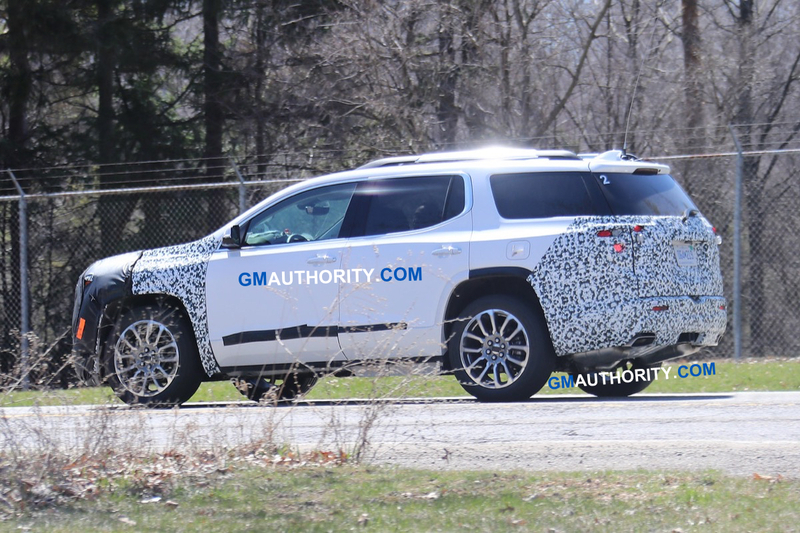 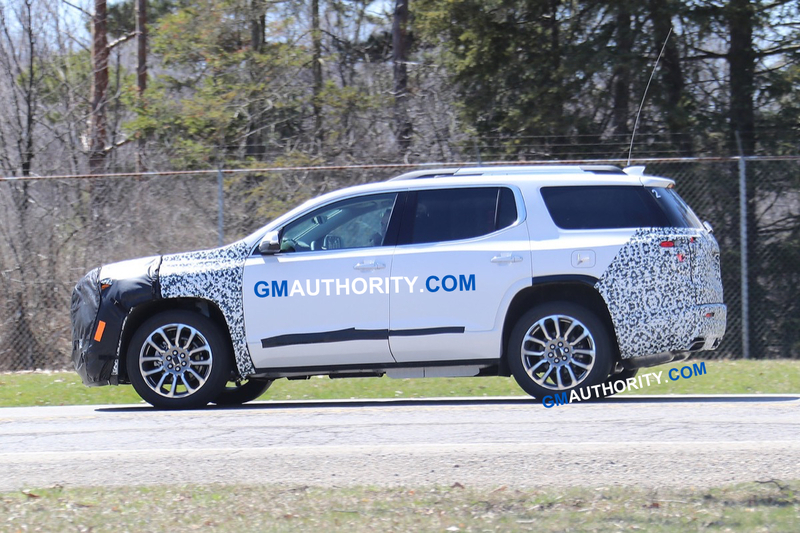 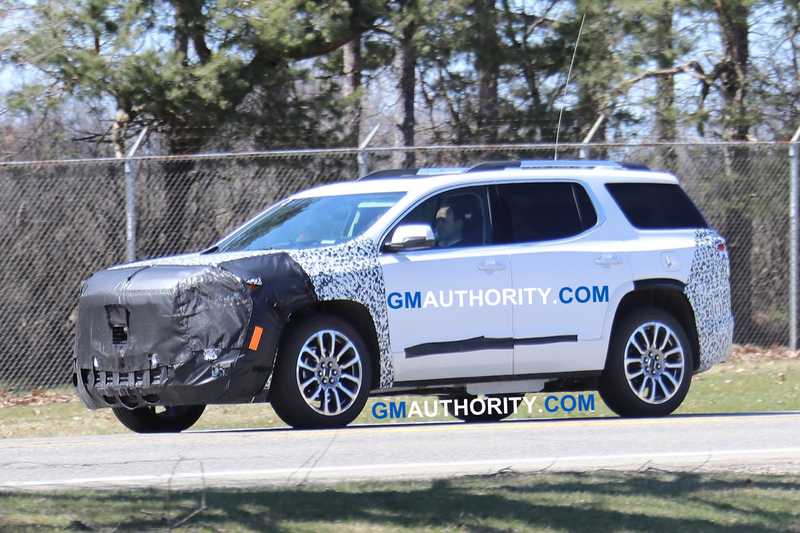 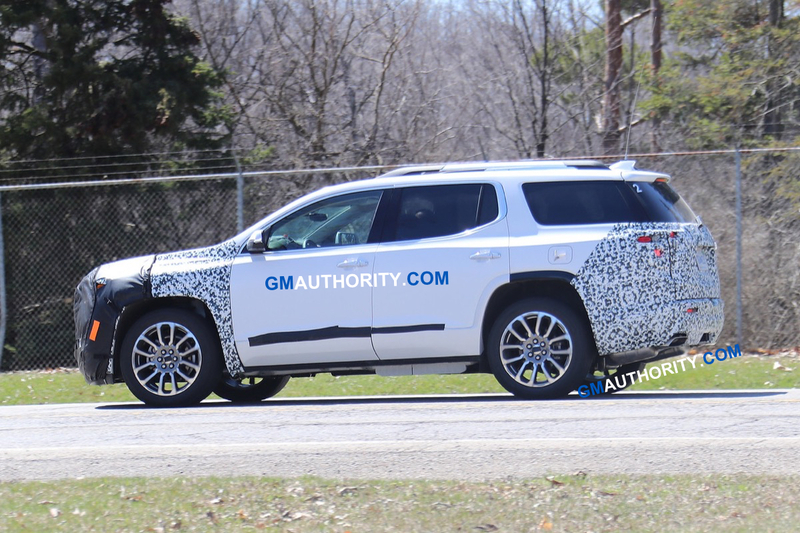 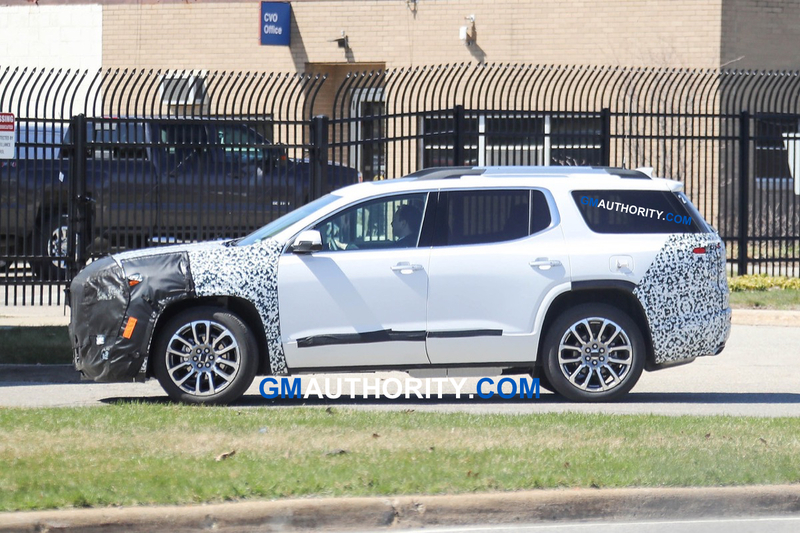 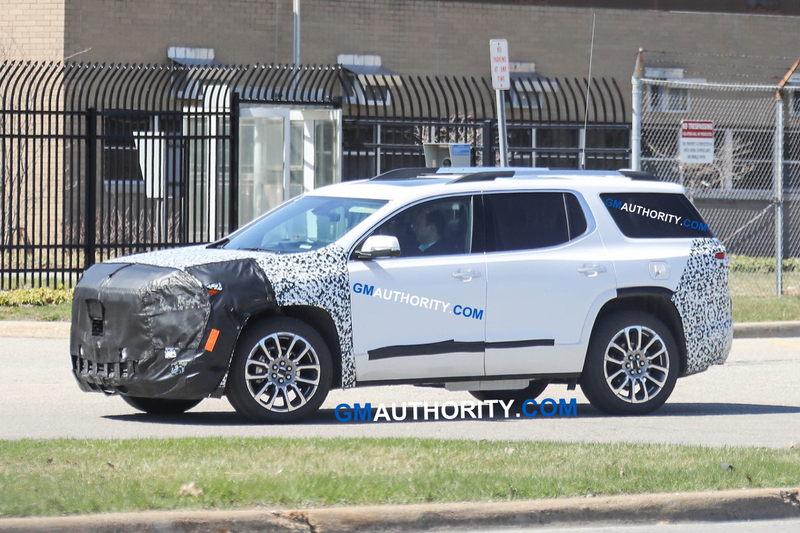 It will also be interesting to see what kind of impact on interest, consideration, and sales the 2020 Acadia refresh will have. 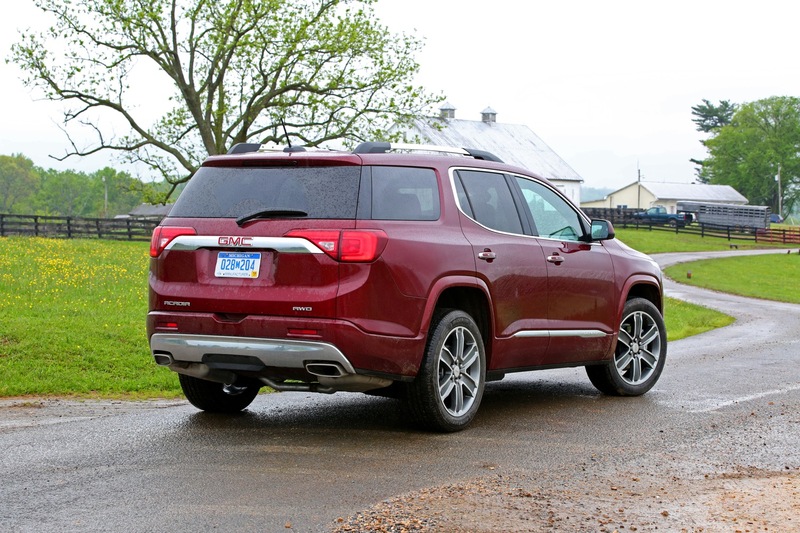 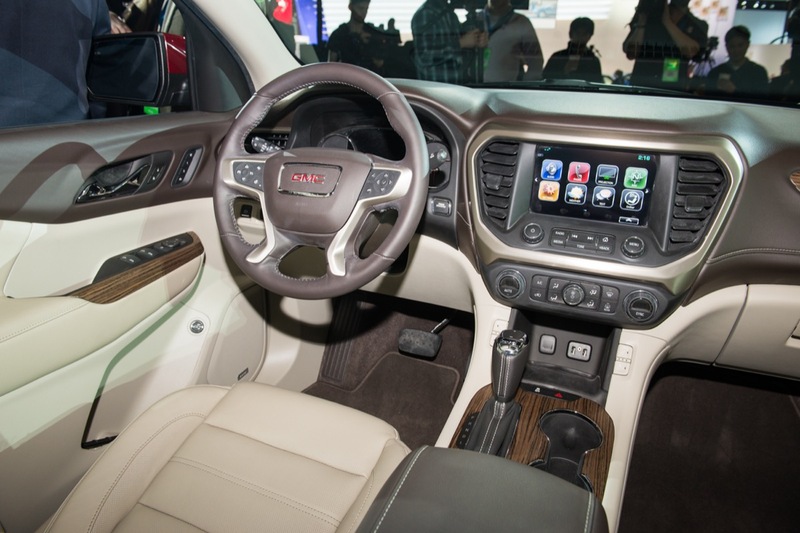 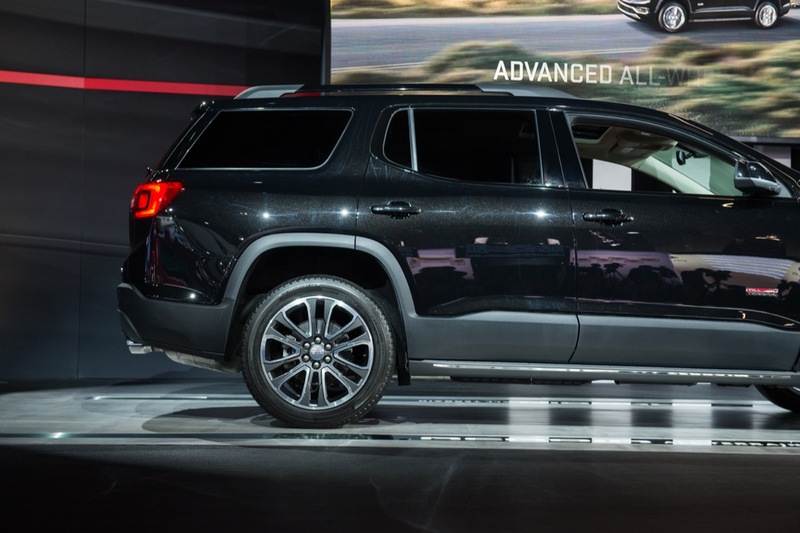 The GMC Acadia is a mid-size crossover utility vehicle (CUV). 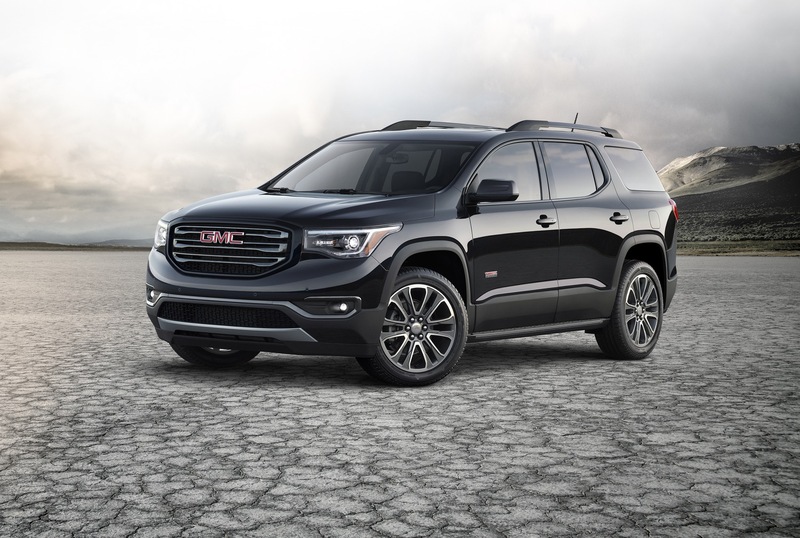 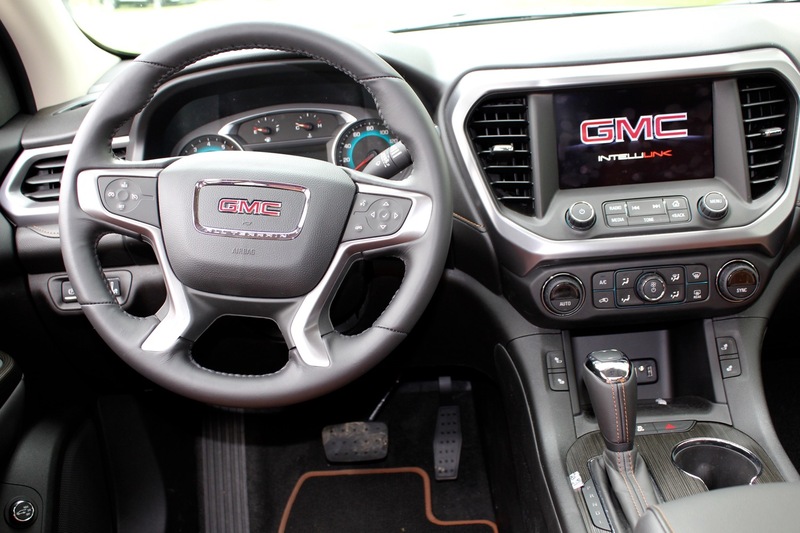 It is the largest GMC crossover currently offered, slotting above the compact GMC Terrain. 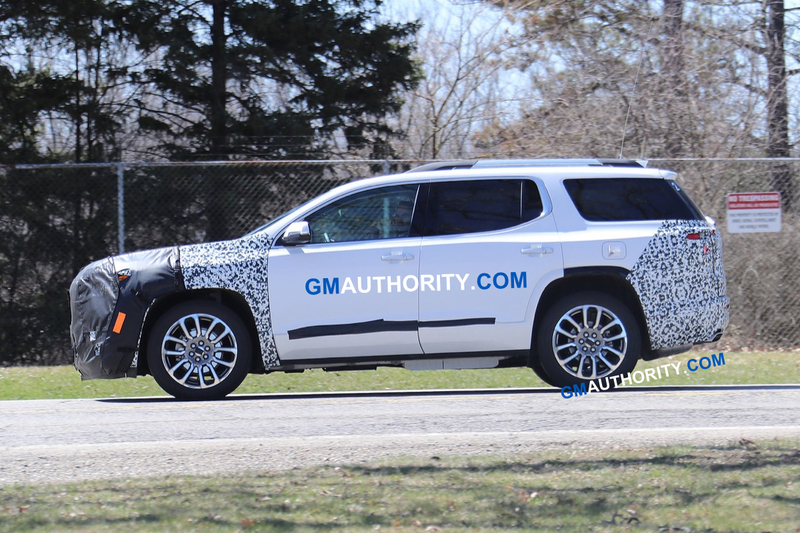 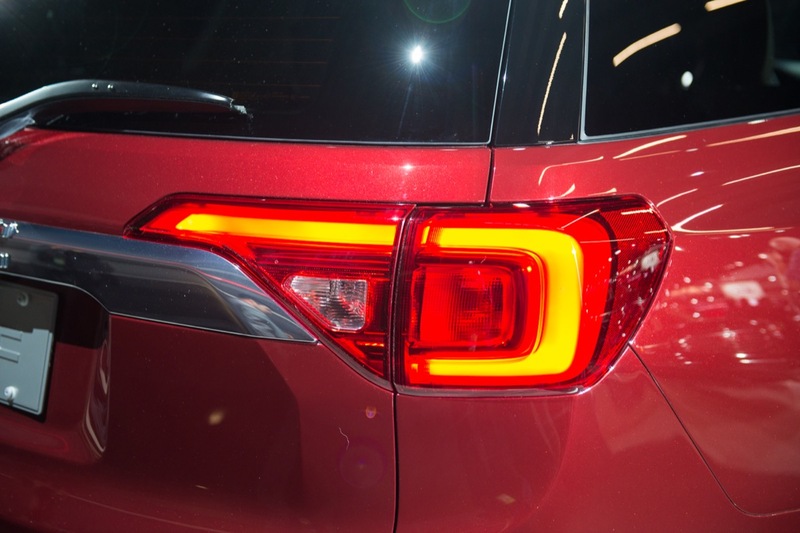 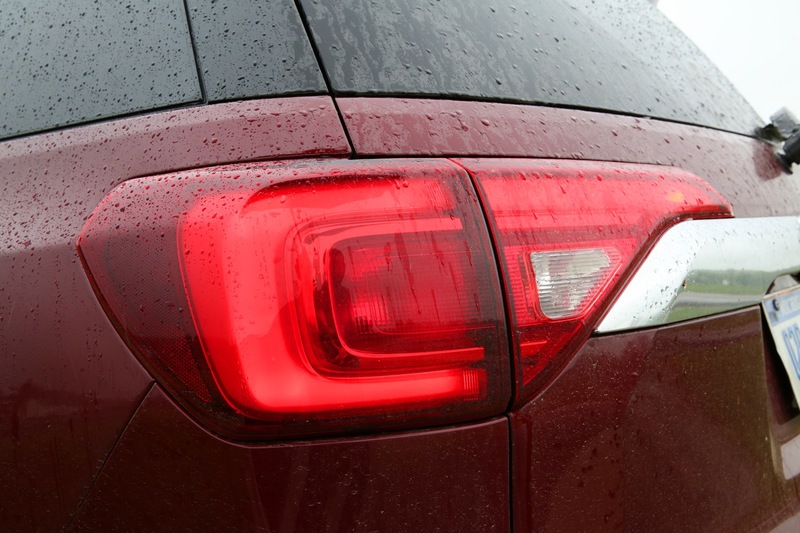 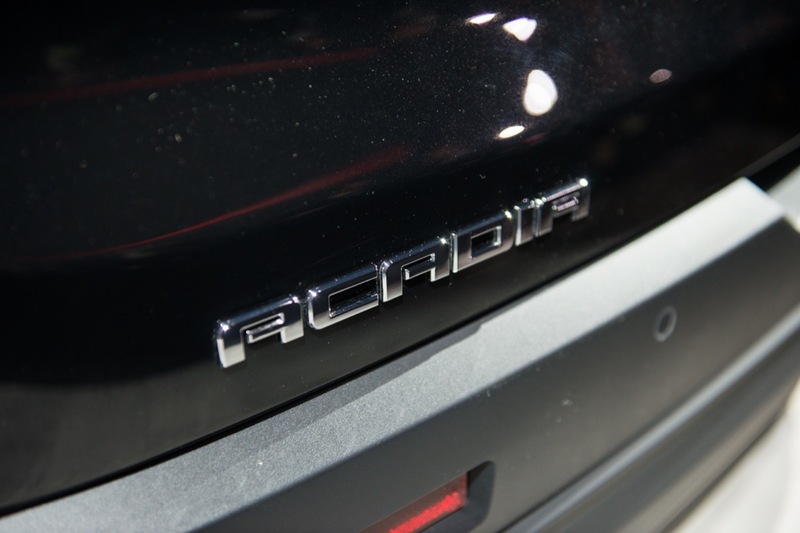 The current model was introduced for the 2017 model year and represents the second generation of the Acadia nameplate. 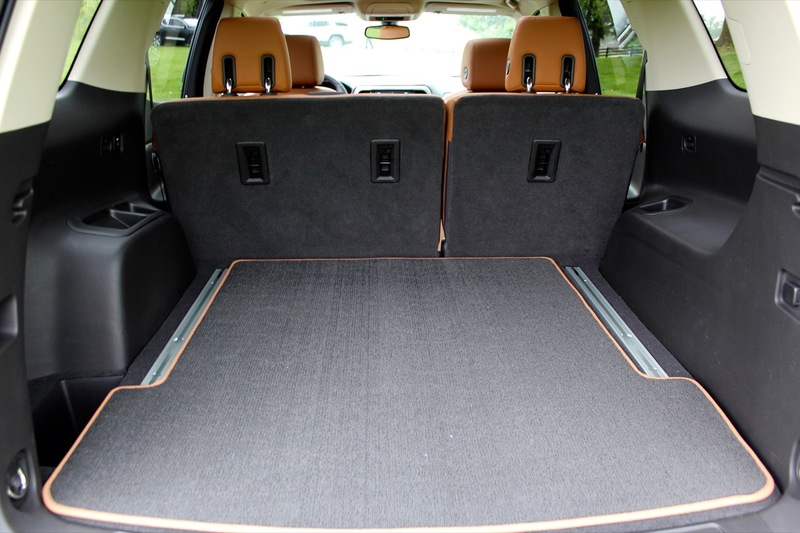 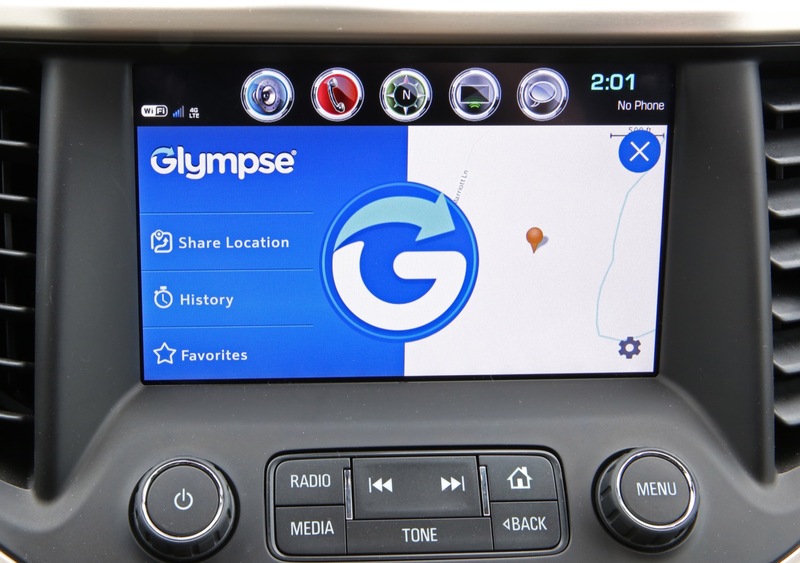 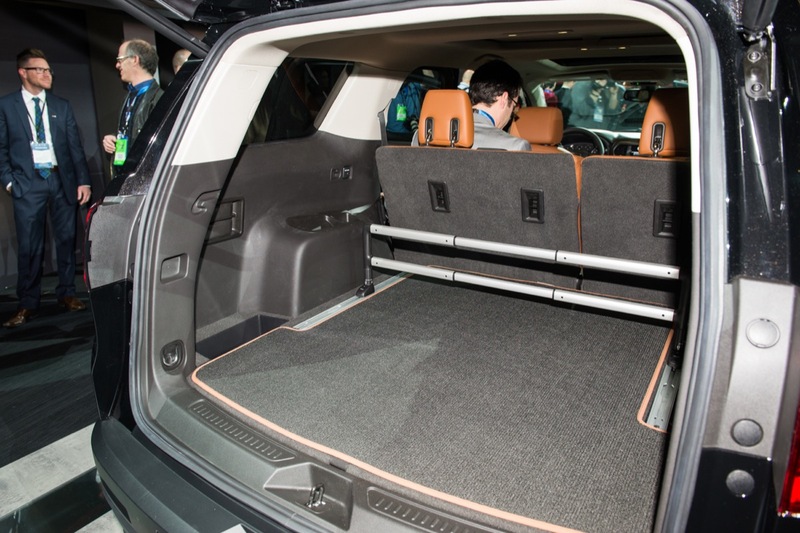 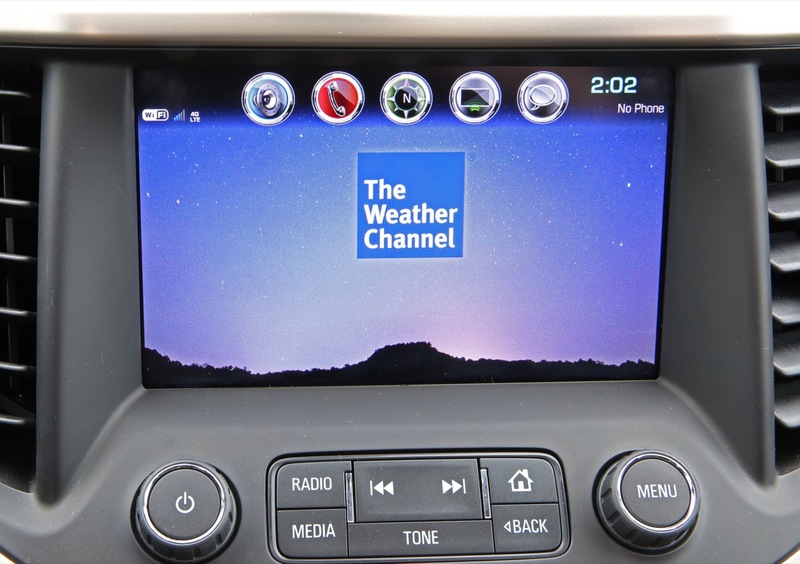 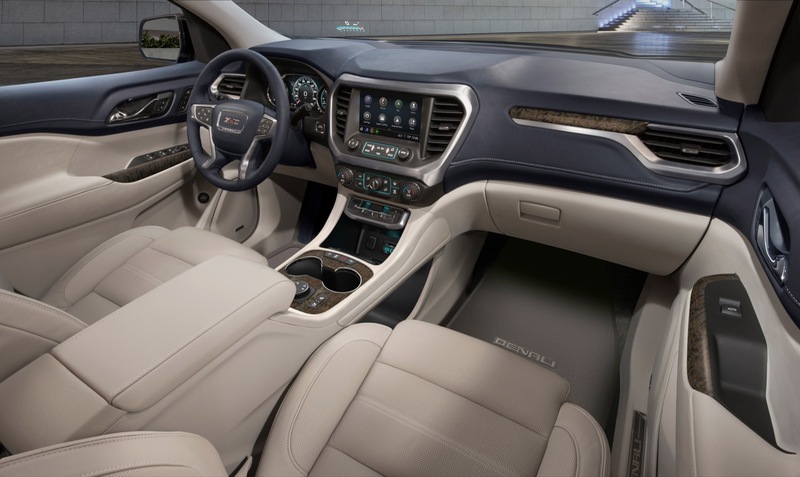 It rides on the GM C1 platform shared with the Cadillac XT5. 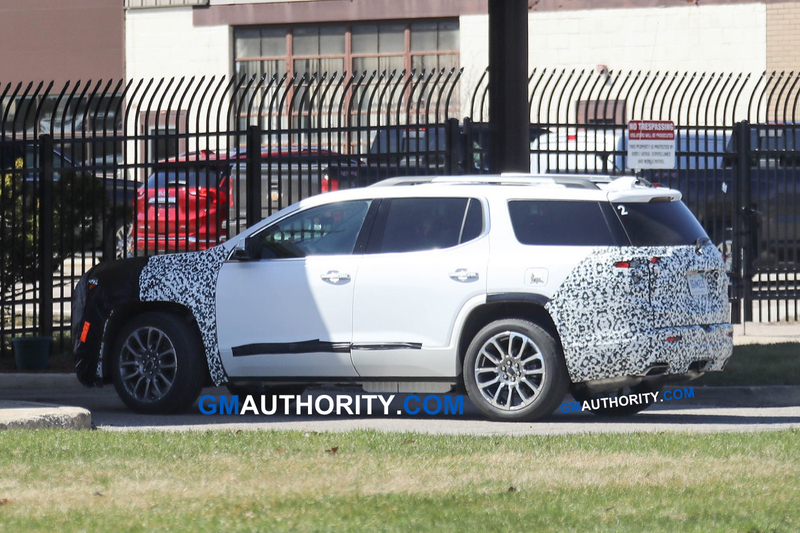 It is expected that the upcoming, future Chevrolet Blazer will ride on the same platform. 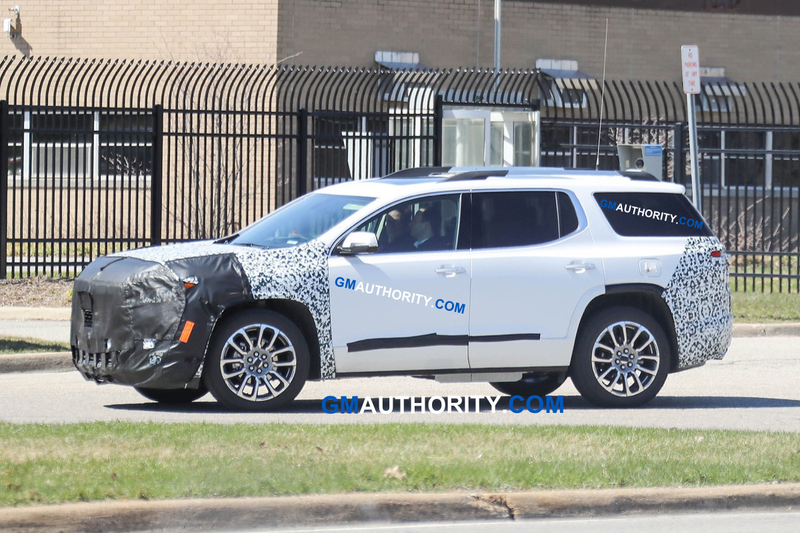 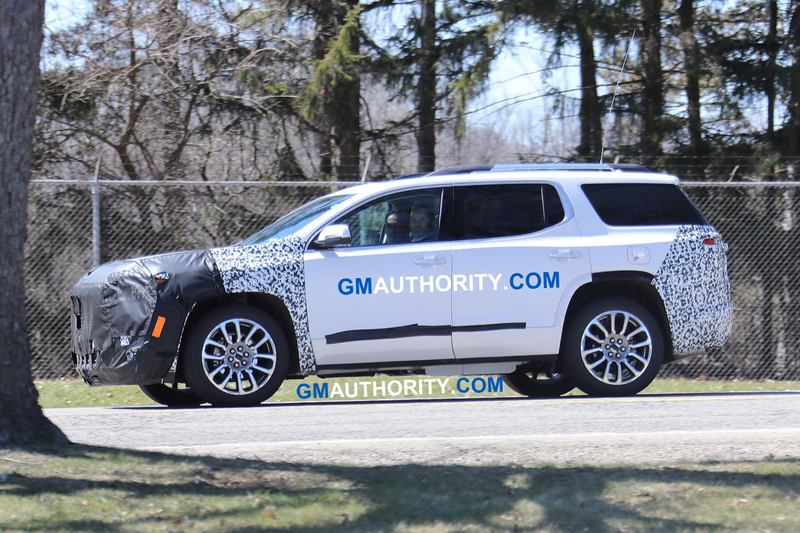 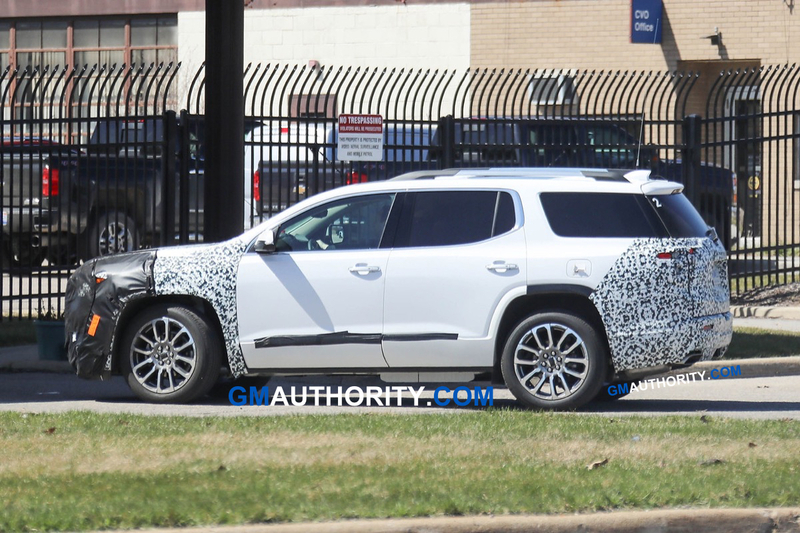 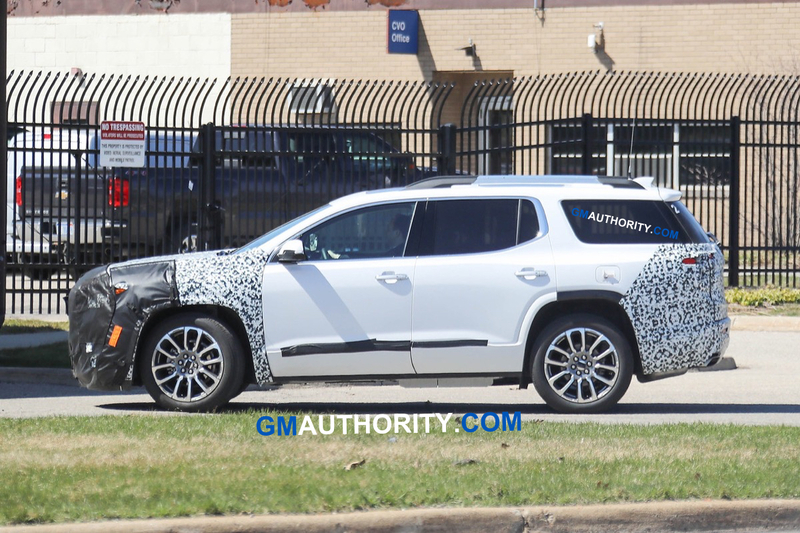 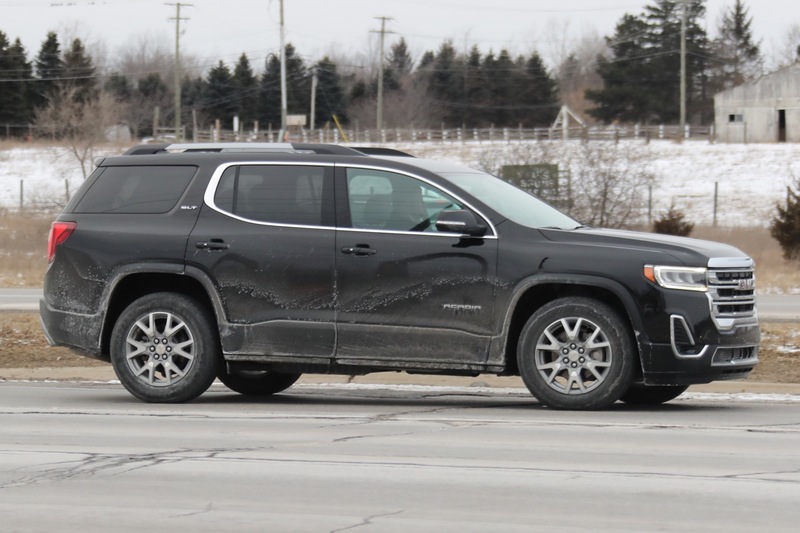 Meanwhile, the second-generation Chevrolet Traverse and Buick Enclave use a longer-wheelbase variant of the same architecture. 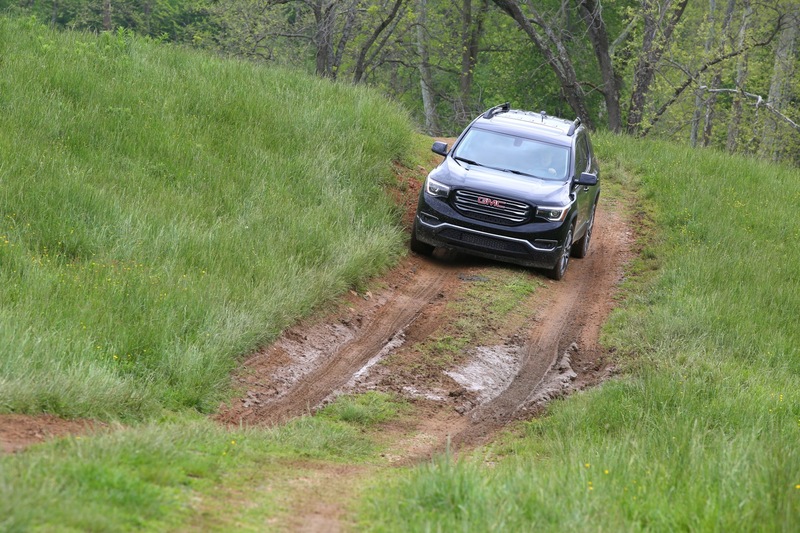 Compared to its first-generation predecessor, the second-gen Acadia is an all-new vehicle that is one size segment smaller, while also being sleeker, more modern, more tech-laden and much lighter. 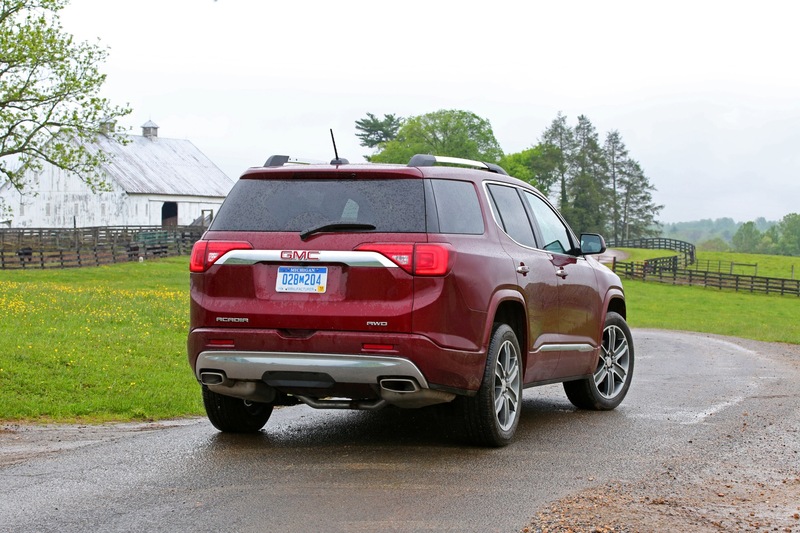 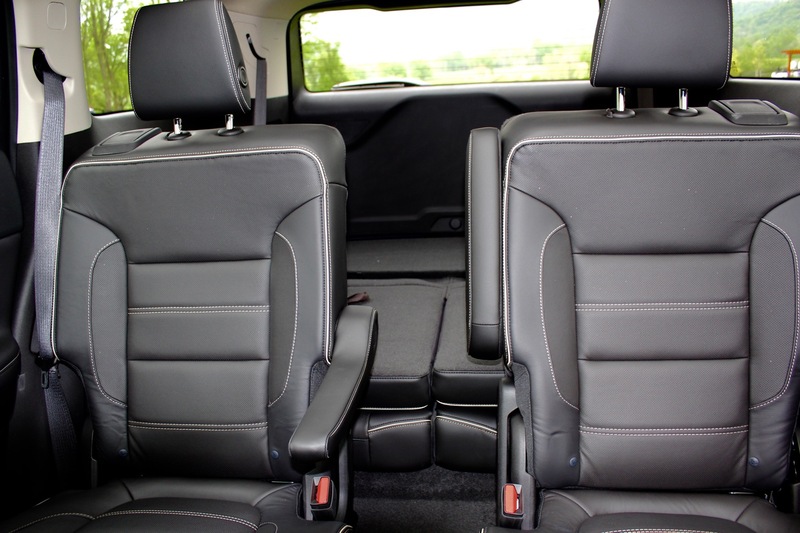 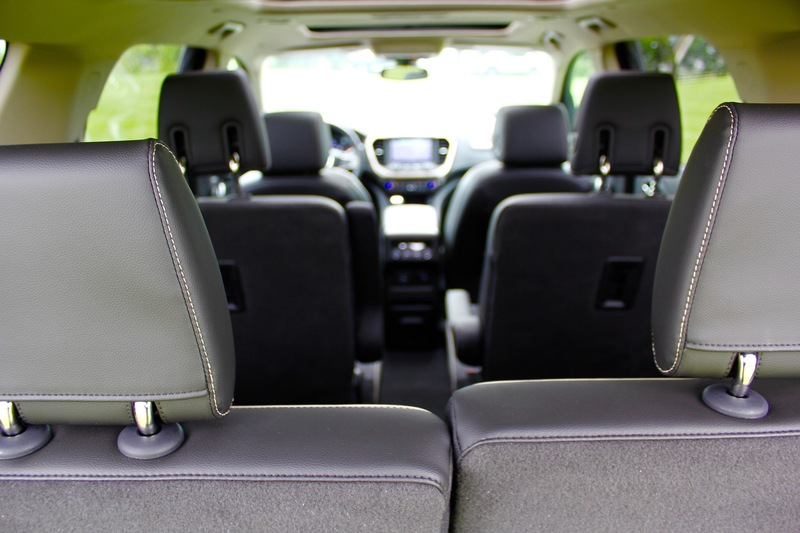 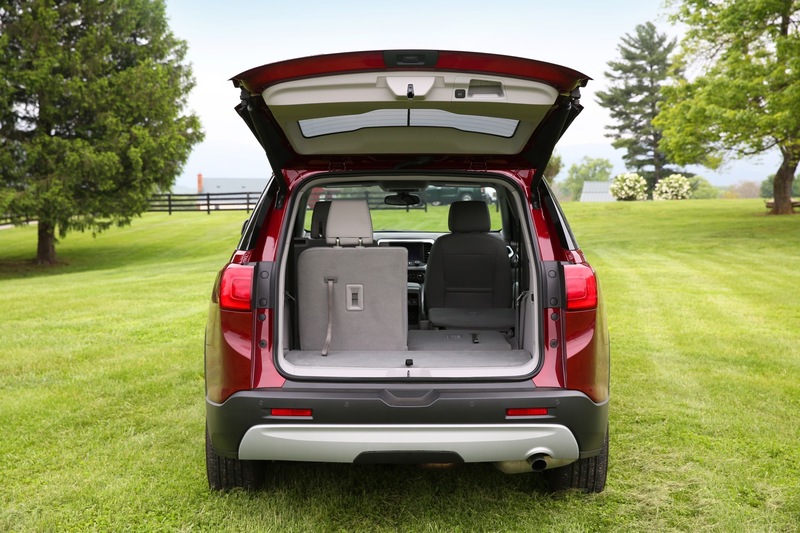 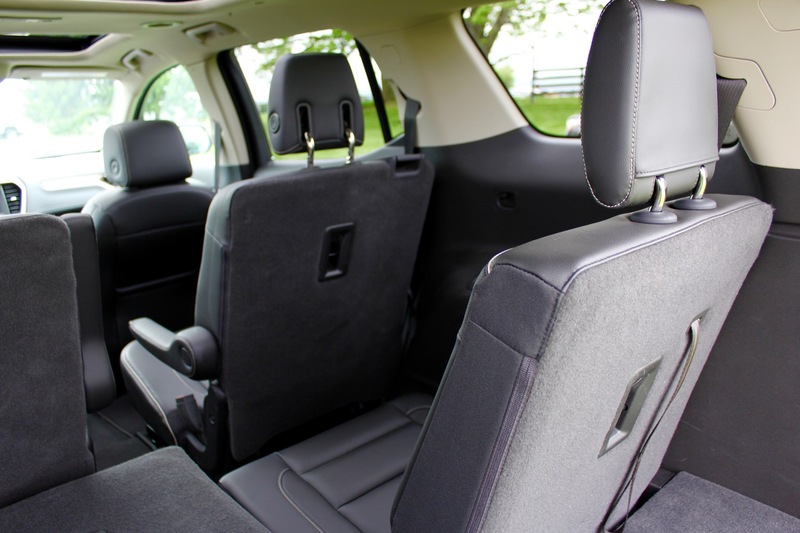 Despite its smaller size, the second-gen Acadia manages to retain three rows of seating and generous cargo space. 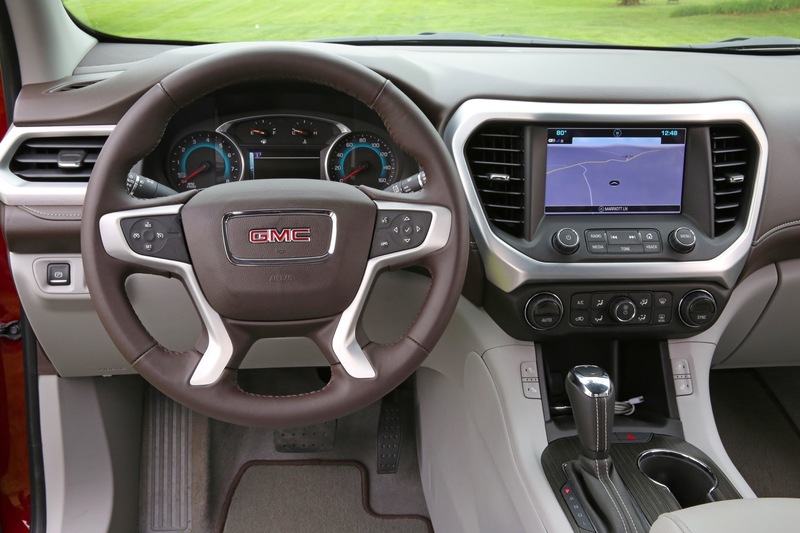 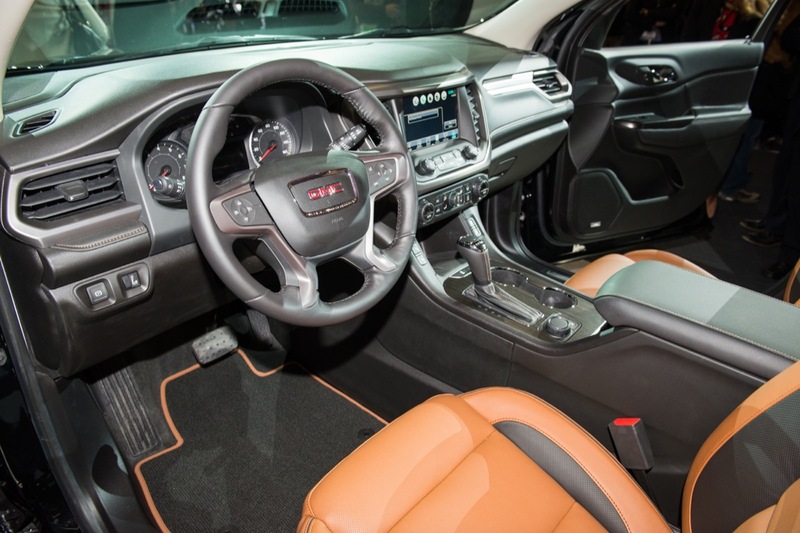 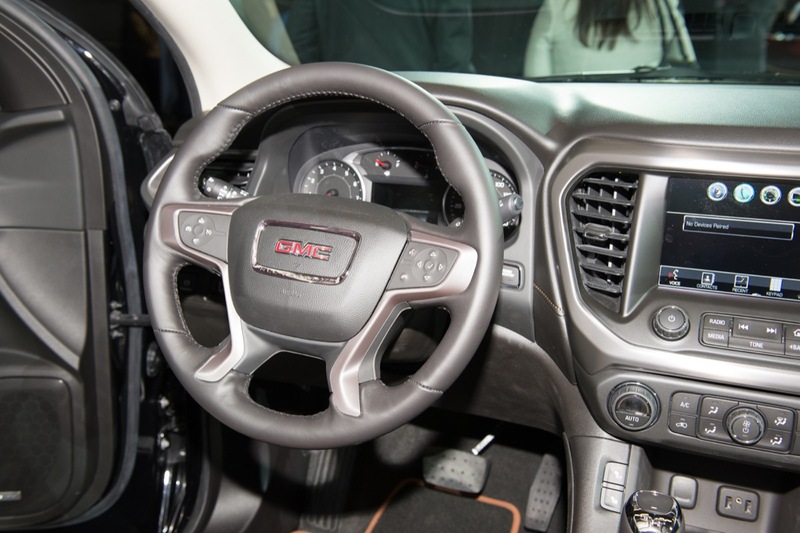 For the 2018 model year, the Acadia got a new color, automatic heated steering wheel in place of the manual heated steering wheel, Tire Fill Alert, some new wheels on the SLT-1 All Terrain model, as well as broader availability of the 3.6L V-6 engine and All-Terrain package. 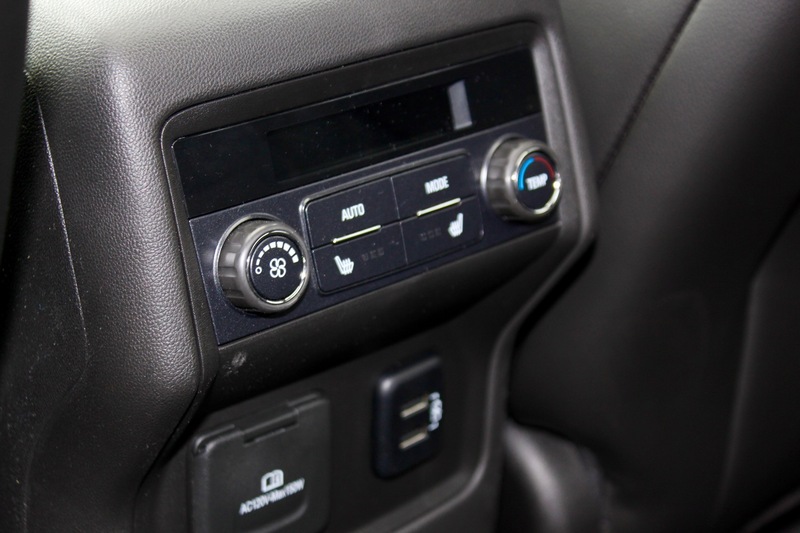 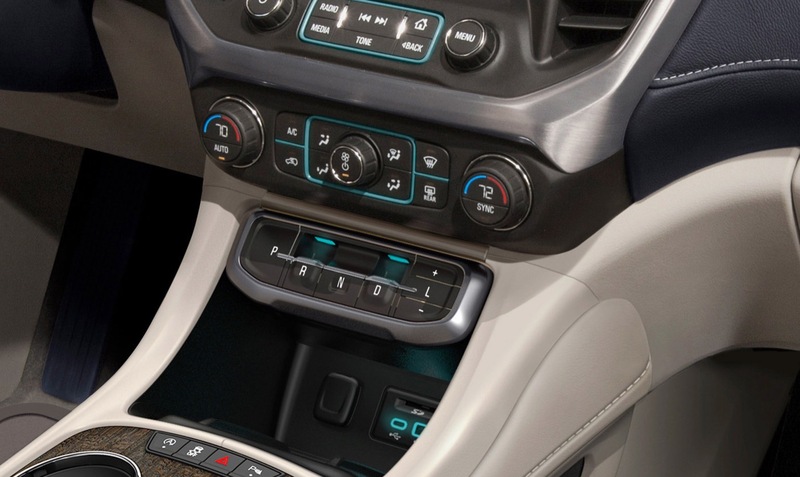 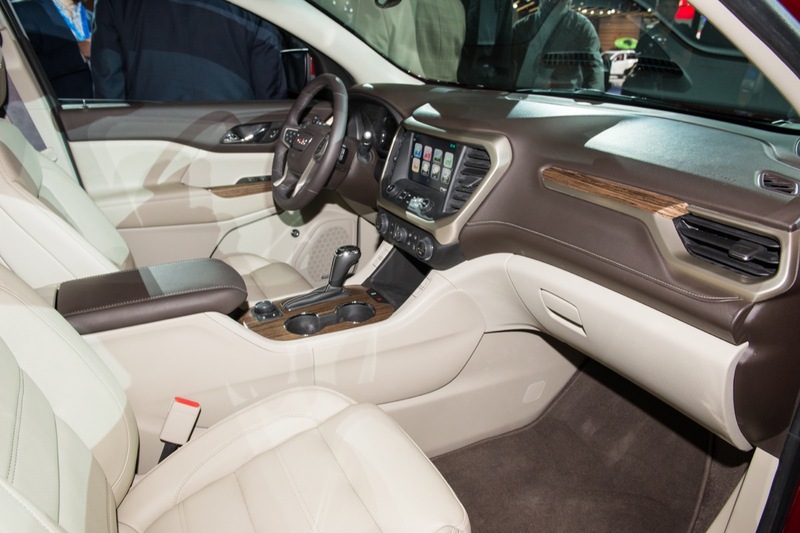 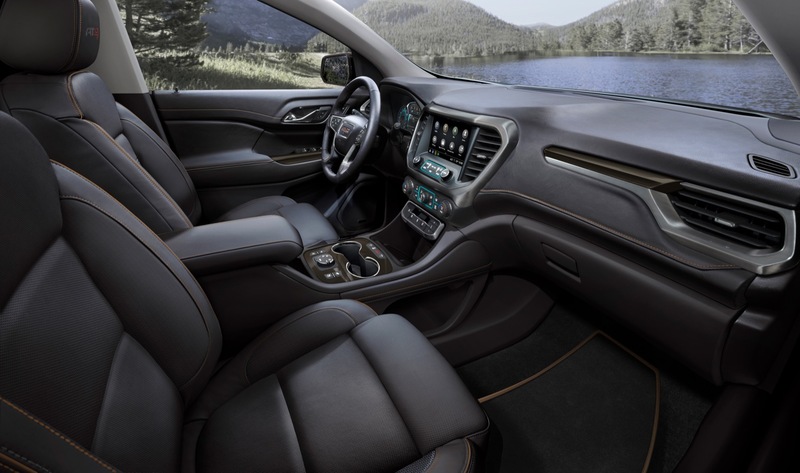 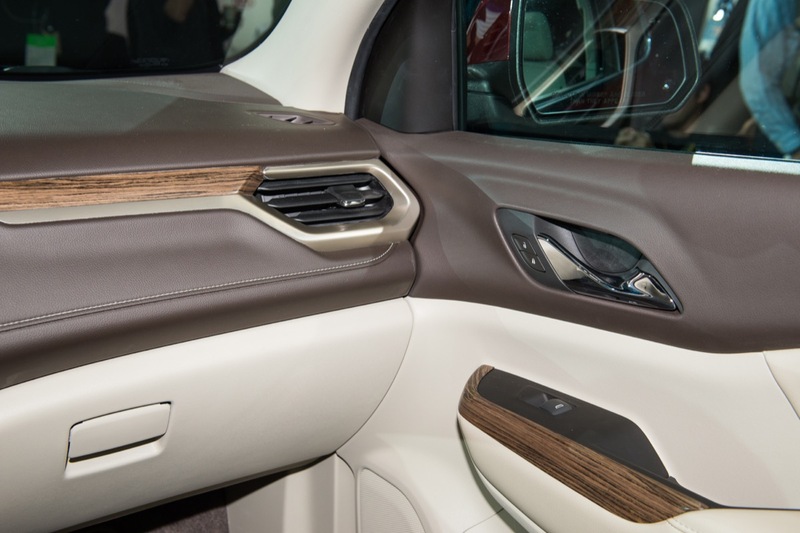 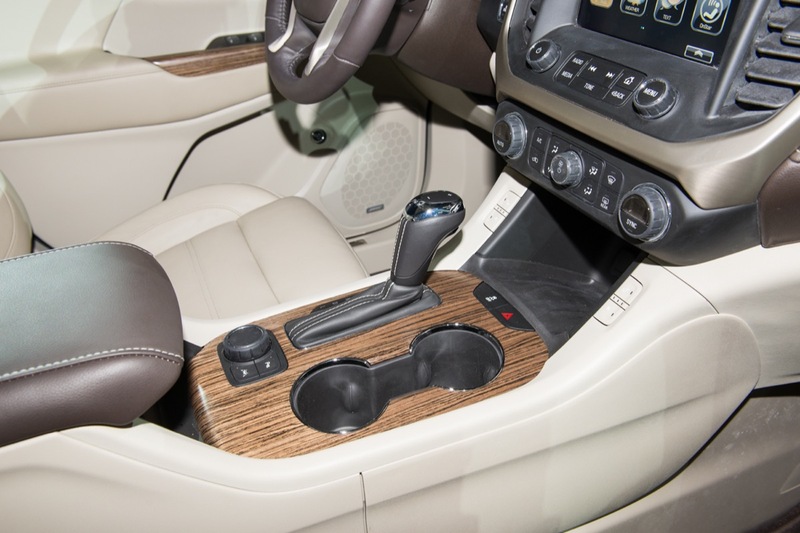 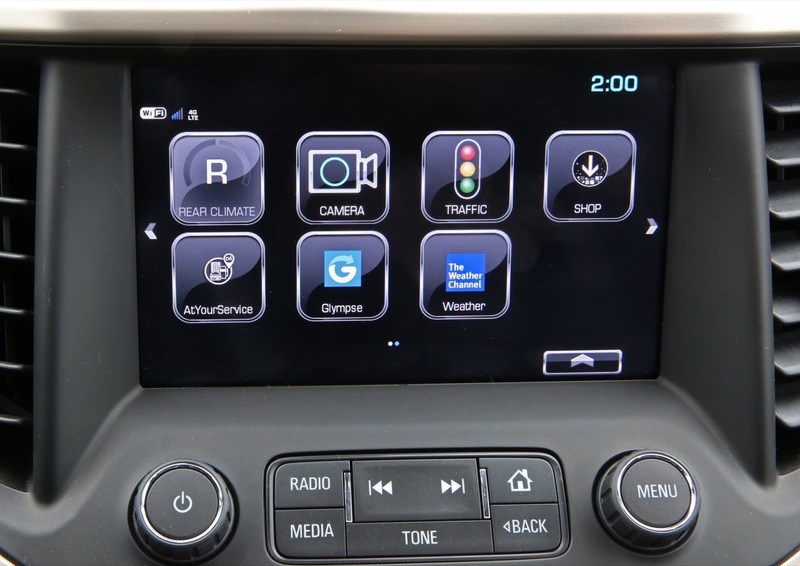 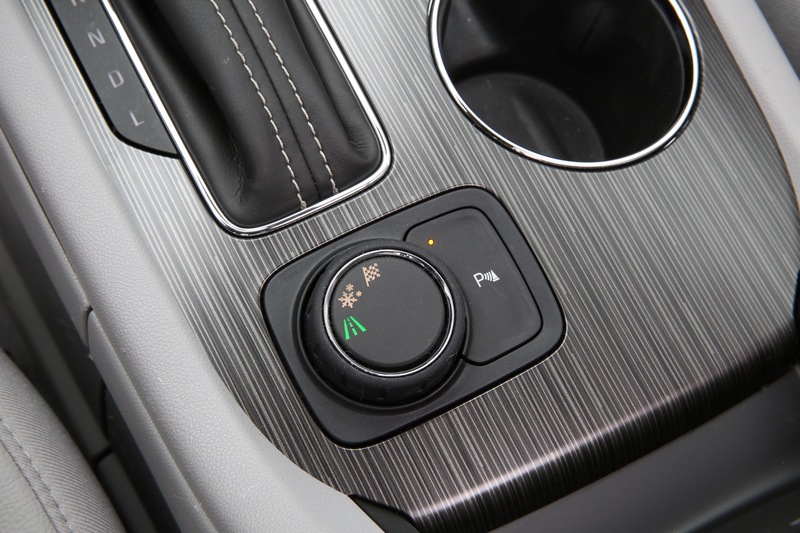 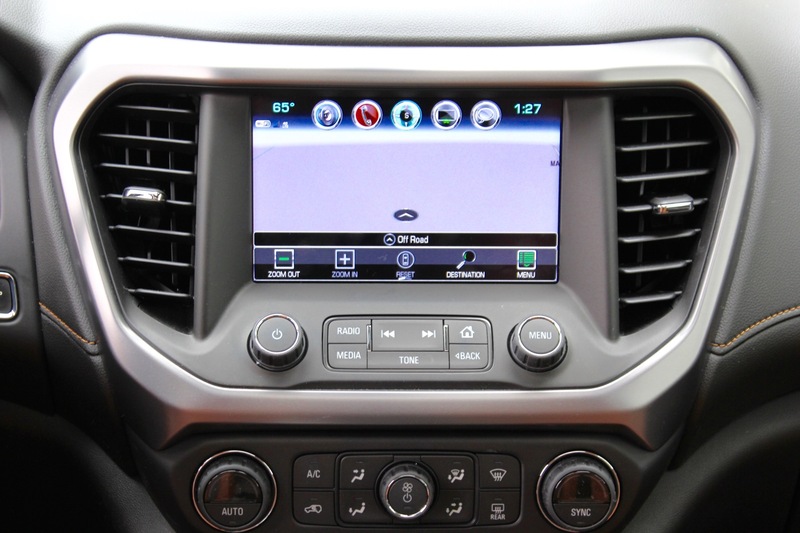 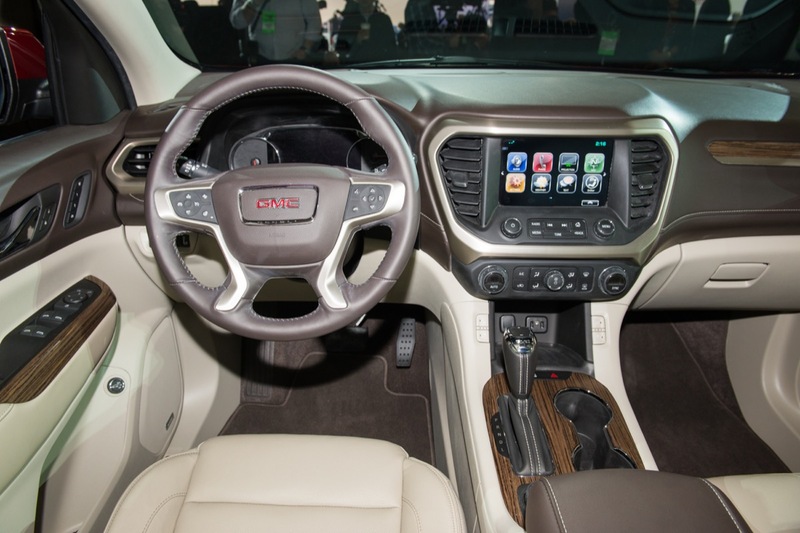 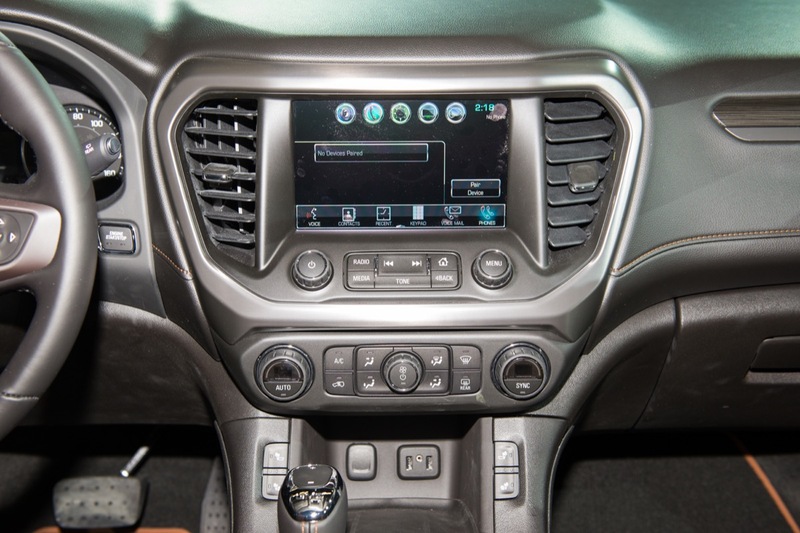 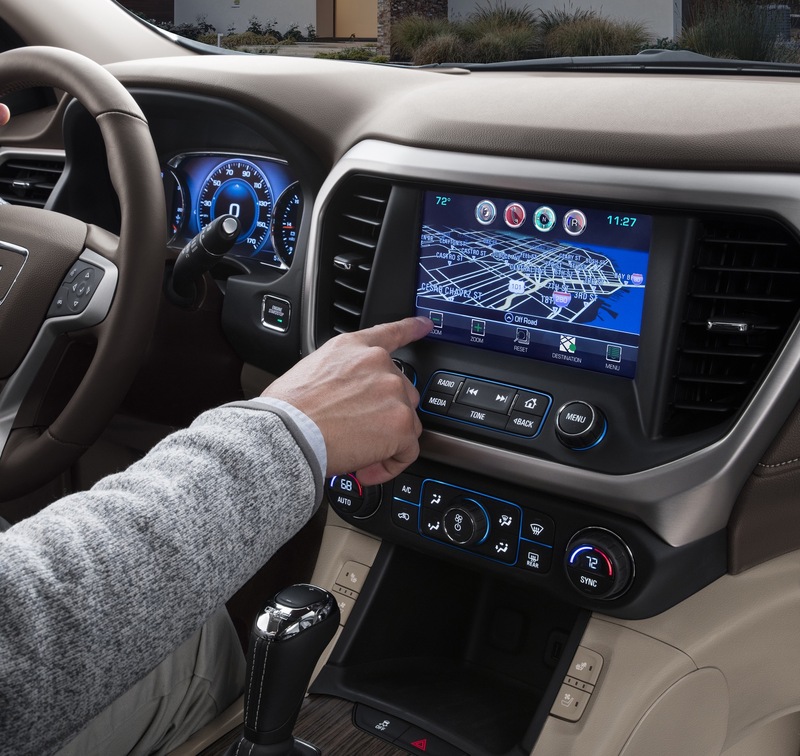 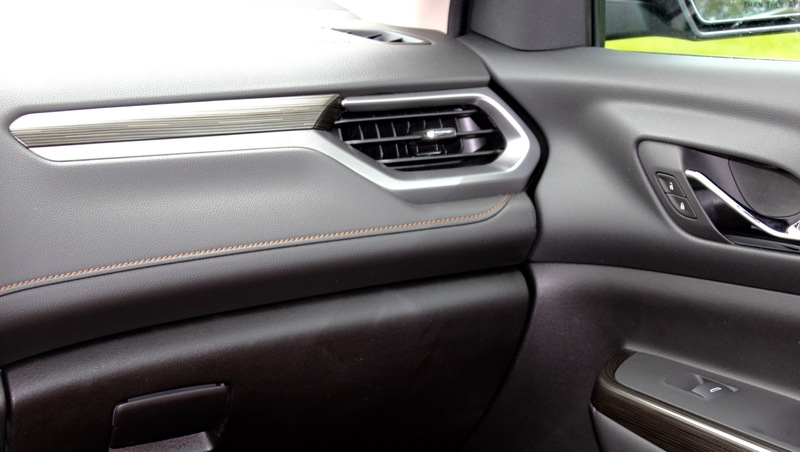 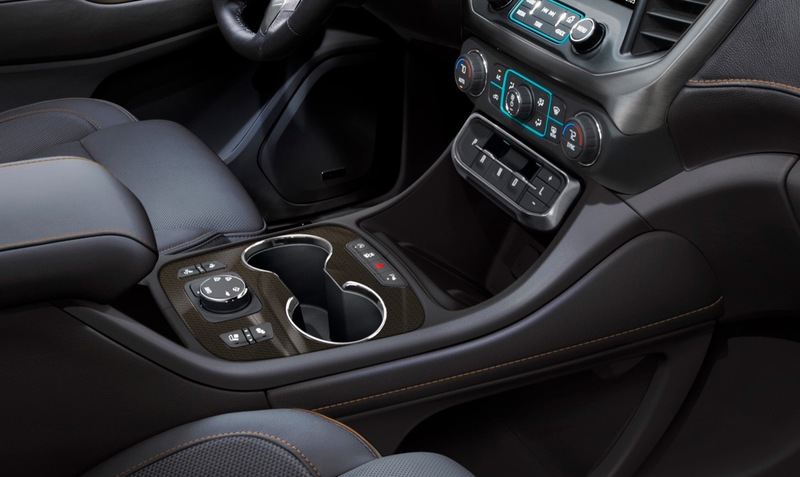 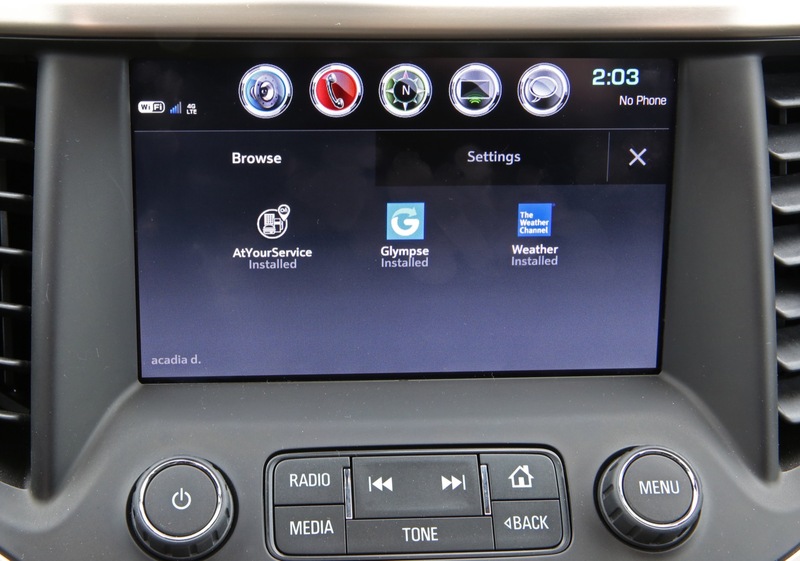 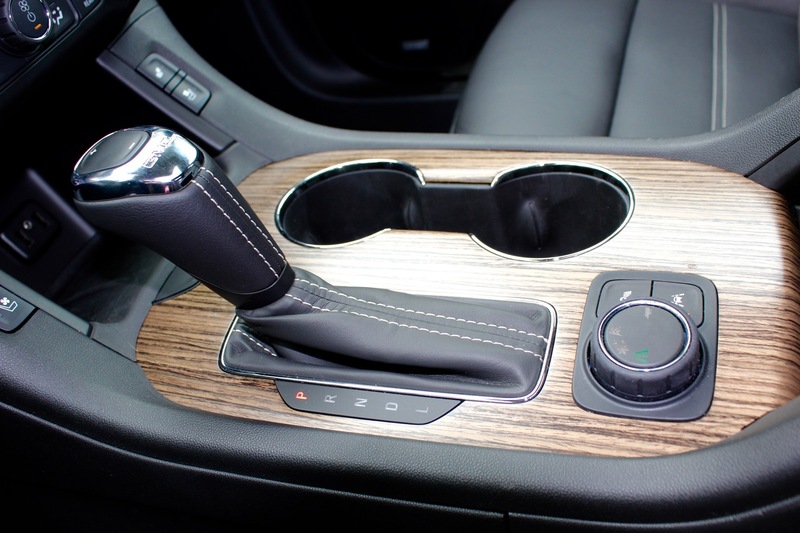 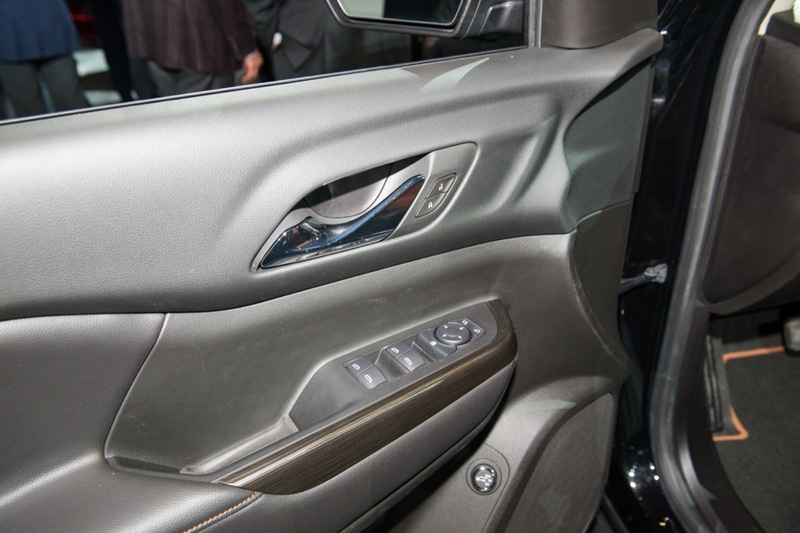 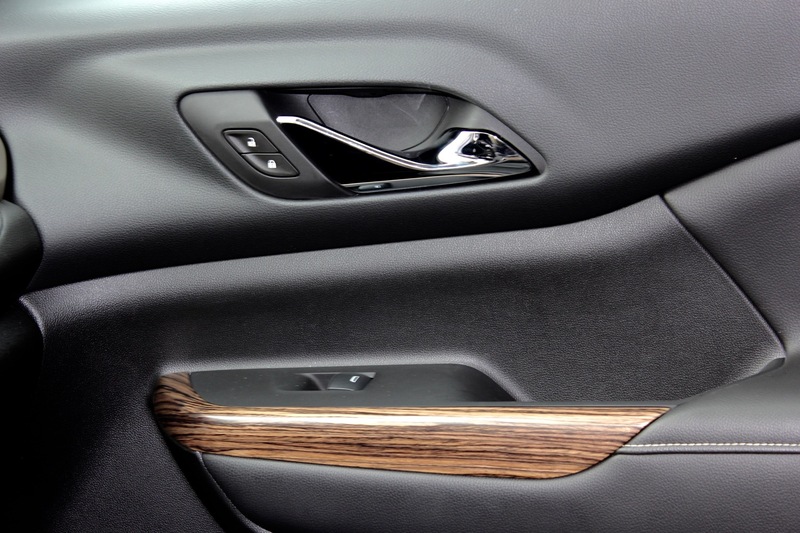 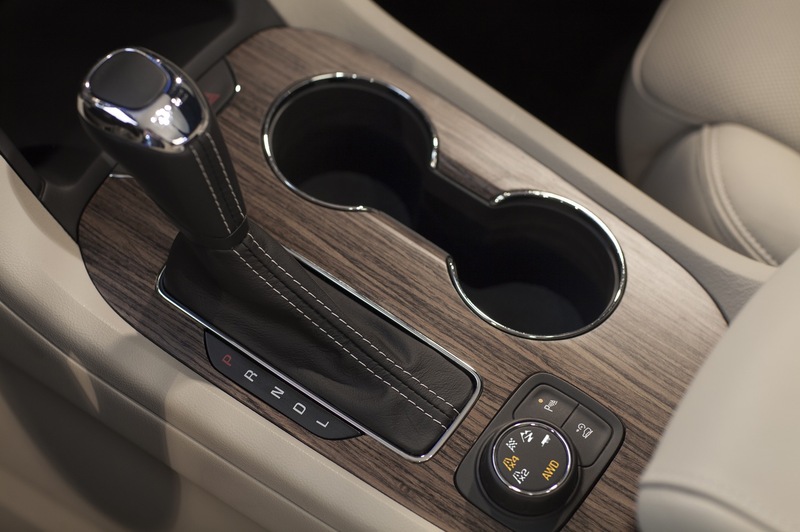 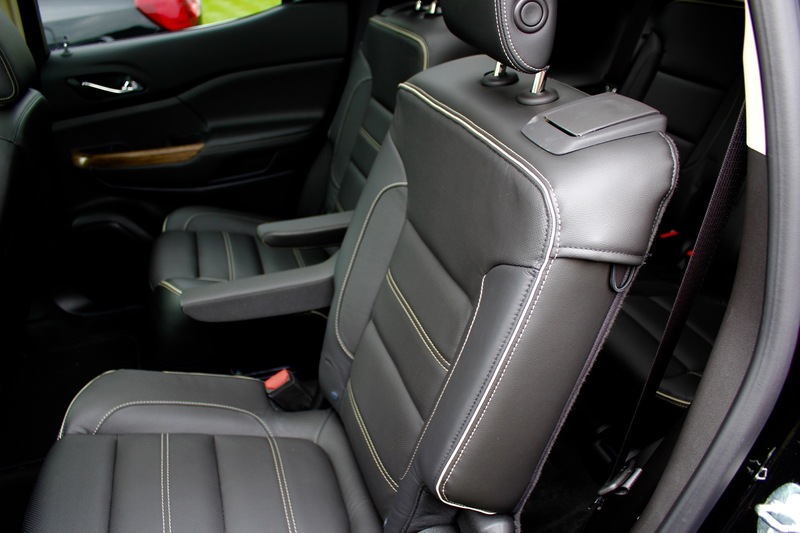 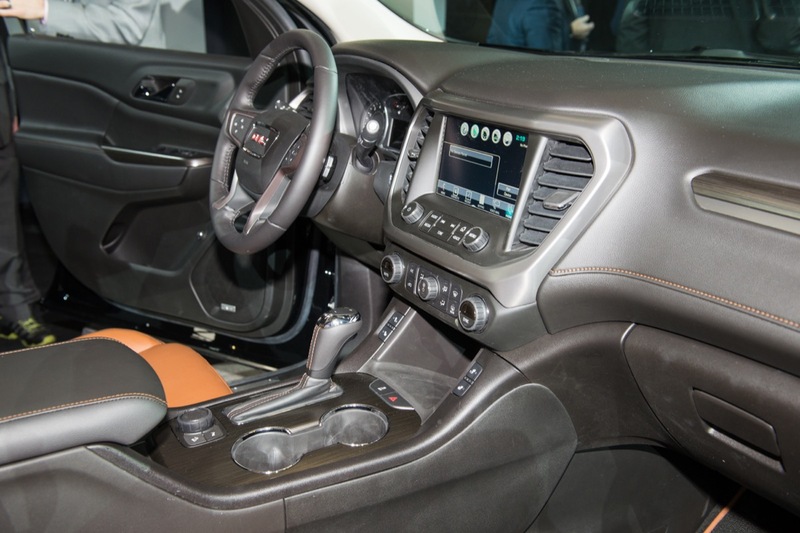 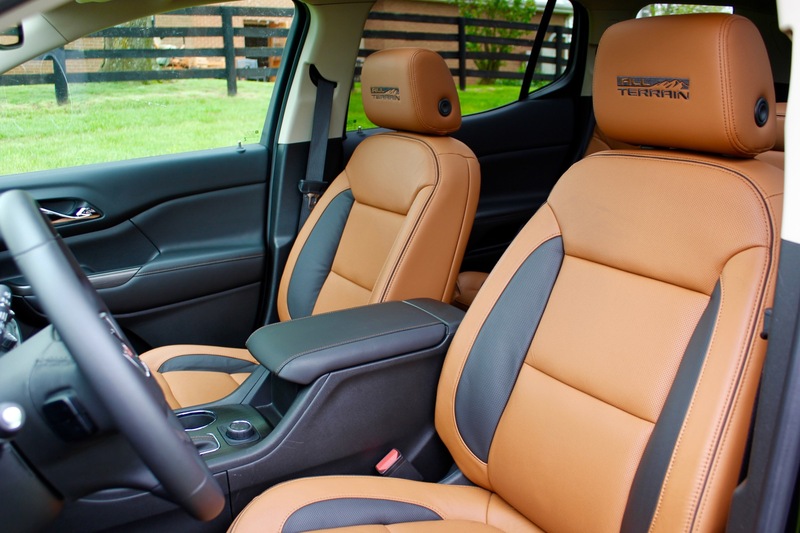 For the 2019 model year, the Acadia receives several new colors, Express Up and Down window controls for the driver's-side controls as standard on the SLE-2 and SLT-1 trims, the expanded availability of the Ebony interior color with the All-Terrain package on the SLT trim level and the introduction of the Acadia Black Edition. 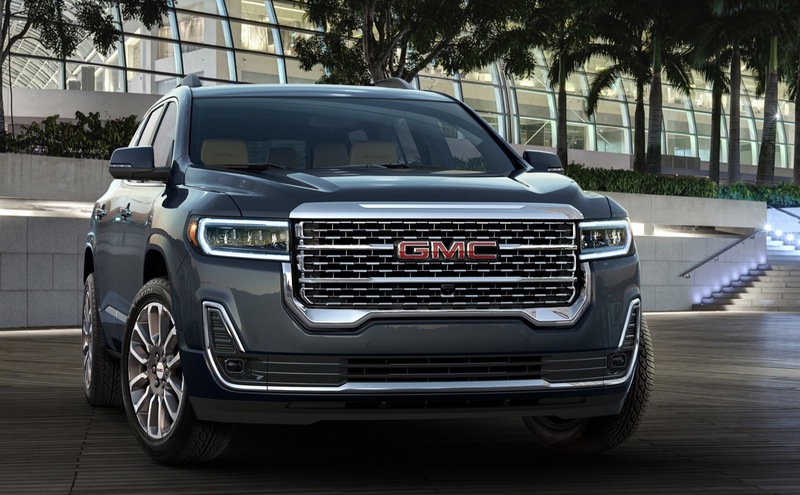 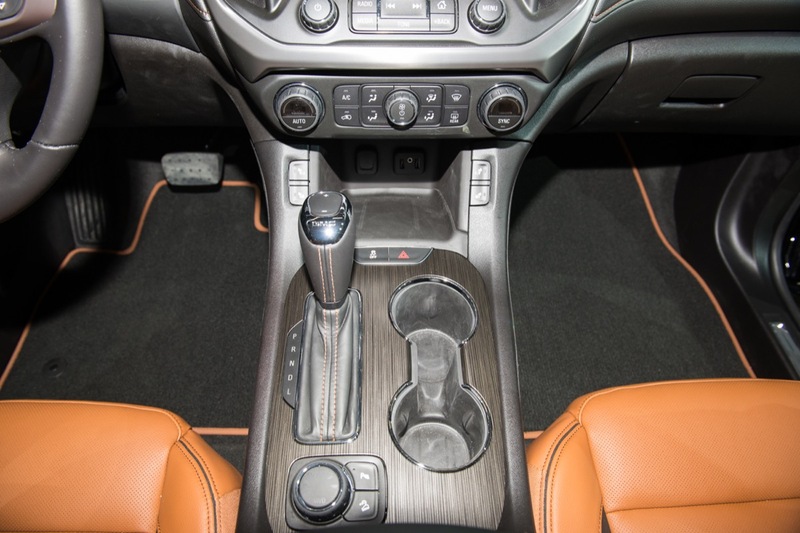 A midcycle refresh arrives for the 2020 model year that delivers updated styling, the new GM 9-speed automatic transmission, a new turbo-charged 2.0L I-4 LSY engine, a new AT4 model that replaces the Acadia All Terrain, interior updates, and various other improvements. 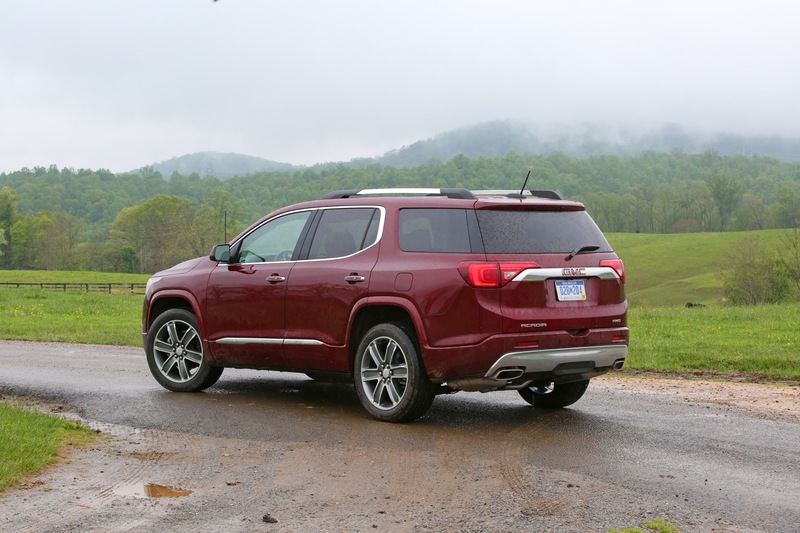 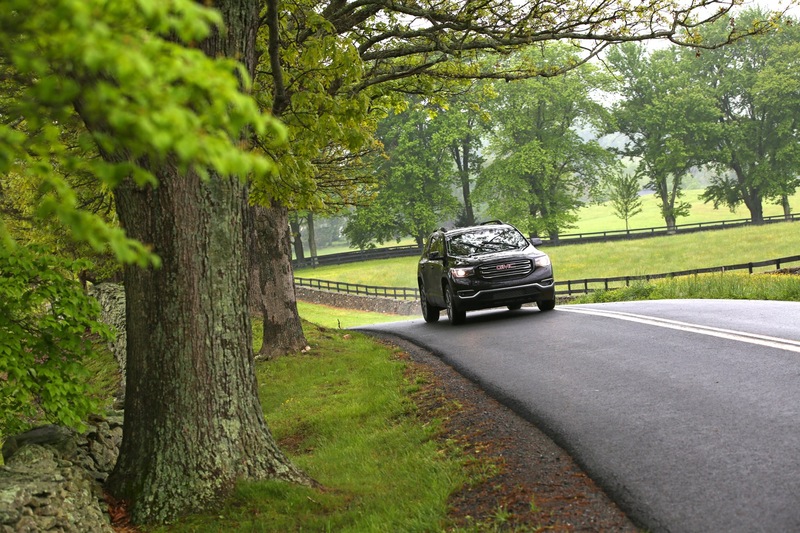 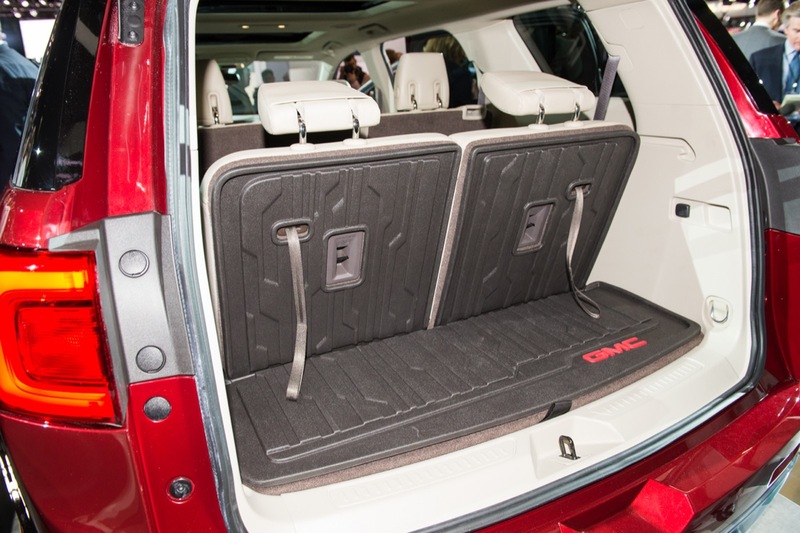 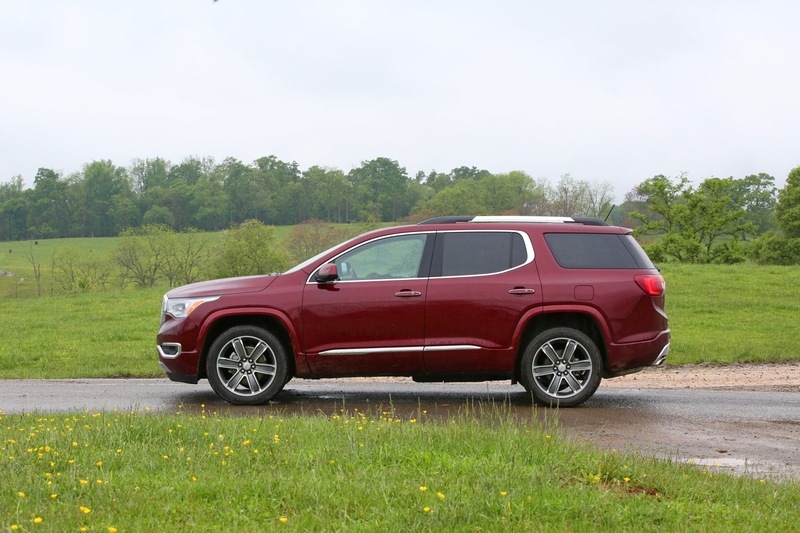 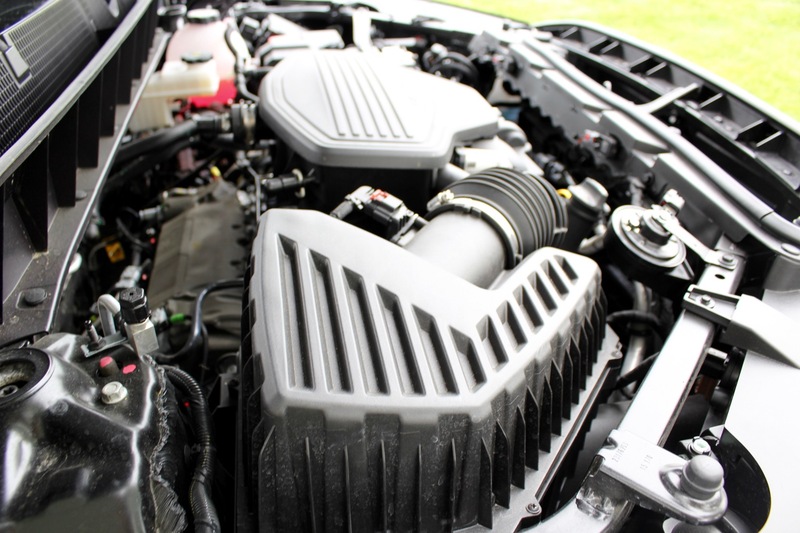 The GMC Acadia is built exclusively at the GM Spring Hill factory in Tennessee operated by GM USA. 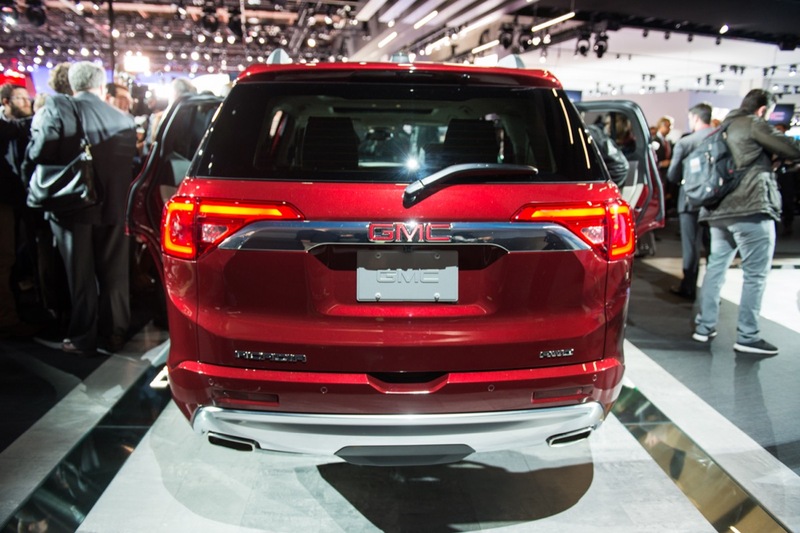 GM sales in Mexico are not very good, why keep making vehicles there? 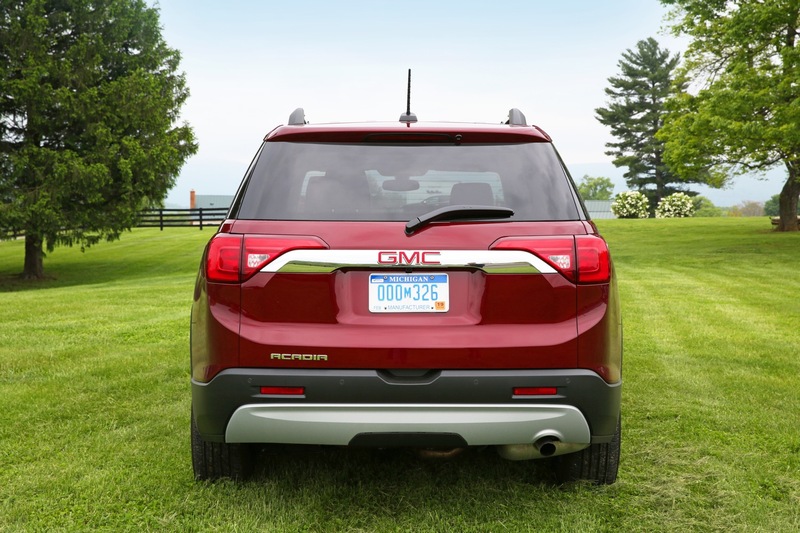 GM is free to make vehicles where ever it pleases. 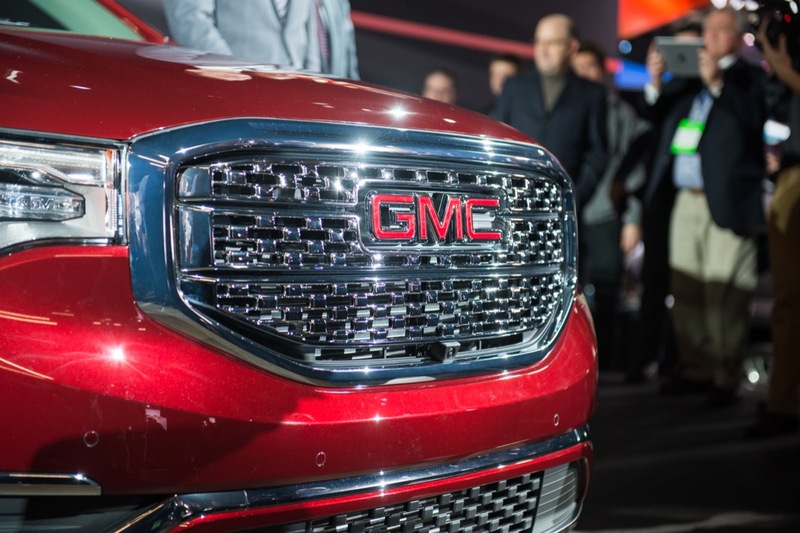 It can hypothetically make vehicles in Antarctica and ship them all over the world. 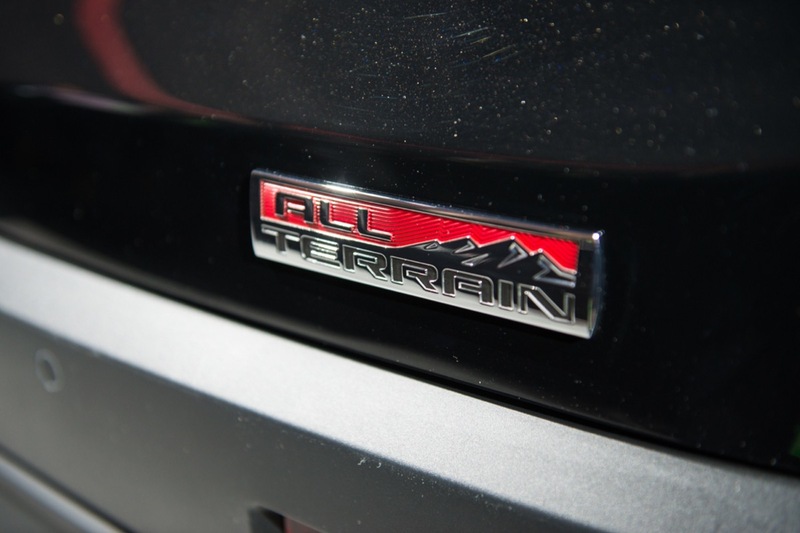 They will (probably) sell zero vehicles in Antarctica, while selling them elsewhere. 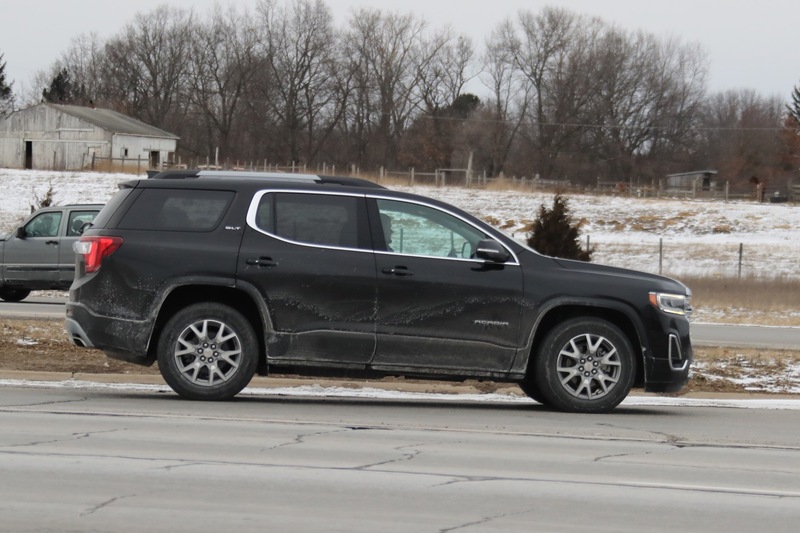 That’s obviously a hypothetical, but it underlines the fact that sales performance in a particular market does not impact production location. 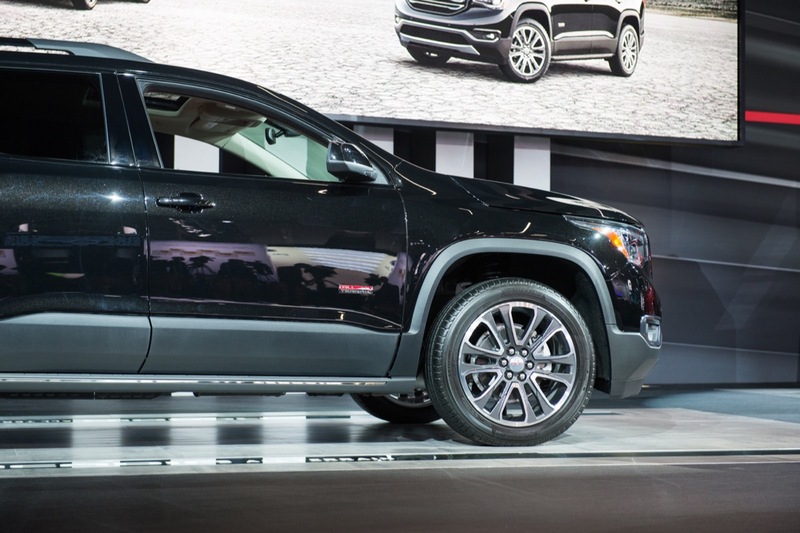 Now, as for Mexico: labor is cheap there, hence production costs are significantly lower than in the U.S. or Canada. 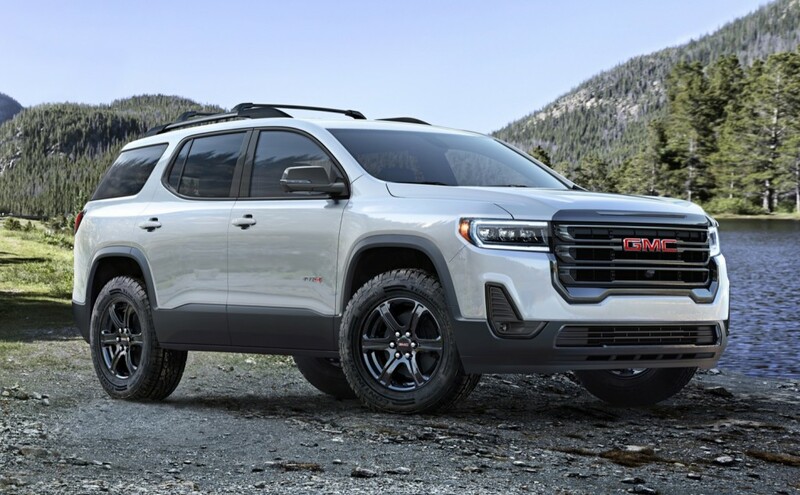 And any sales GM generates in Mexico are pure profit, since the vehicles are (for the most part) the same as they are elsewhere. 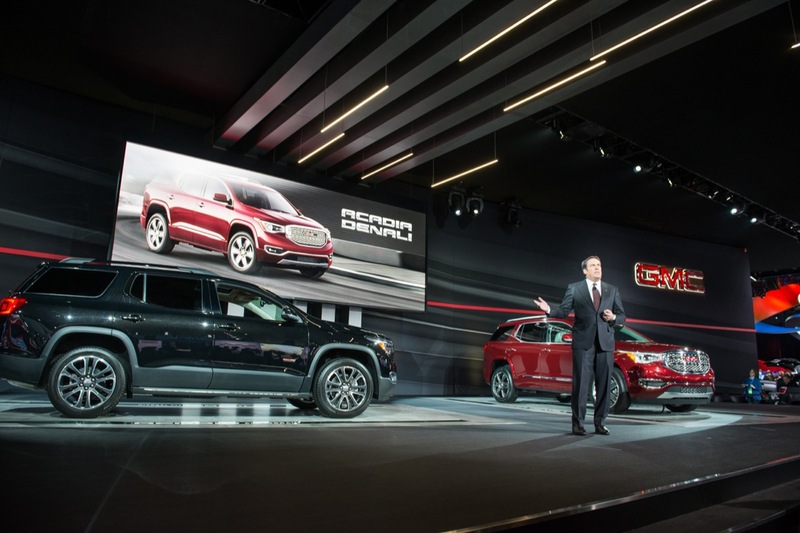 So Mexico sales, like South Korea and Canada, is “all gravy” for GM and most other automakers. 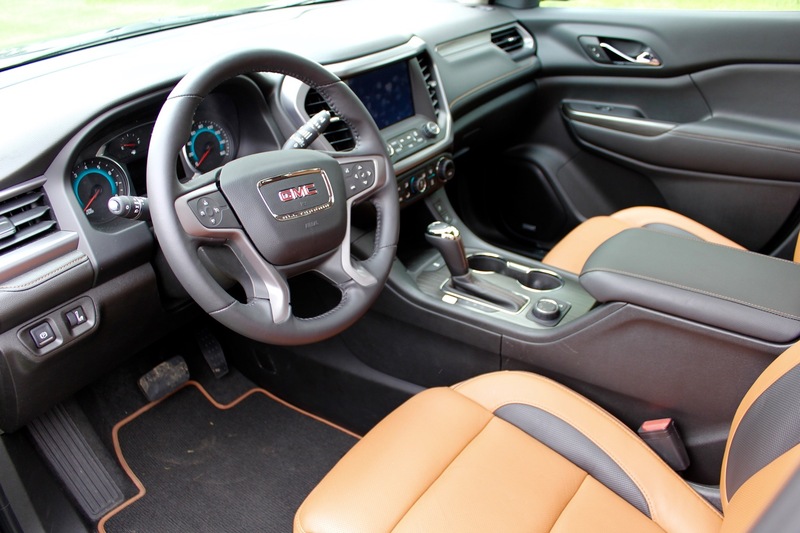 They are “nice to have” markets that expand sales volume, but are not core markets by any stretch. 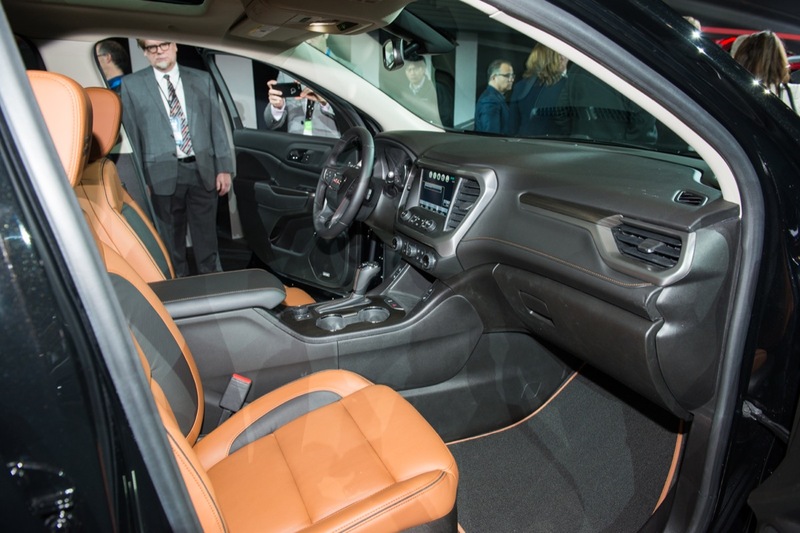 Maybe some of the sales are from those like me who were waiting to see what the Blazer was going to be like and decided they liked the Acadia much better. 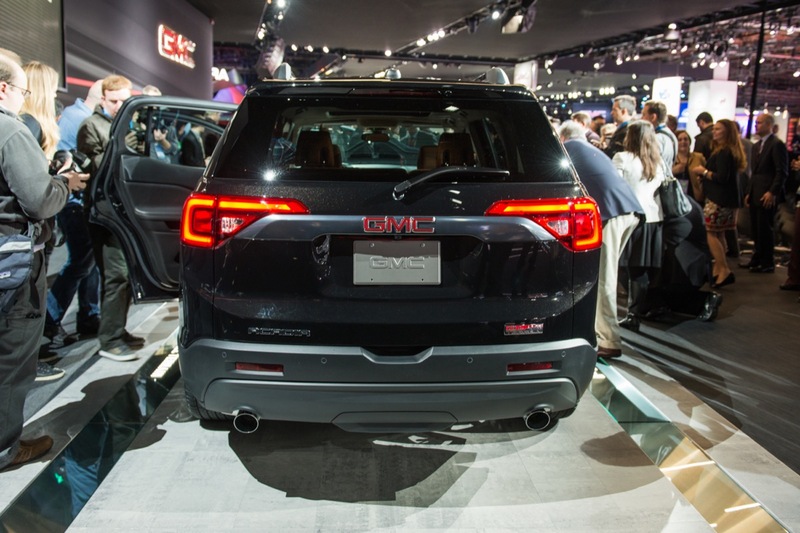 Even the Acadia will sell if you discount it heavy enough. 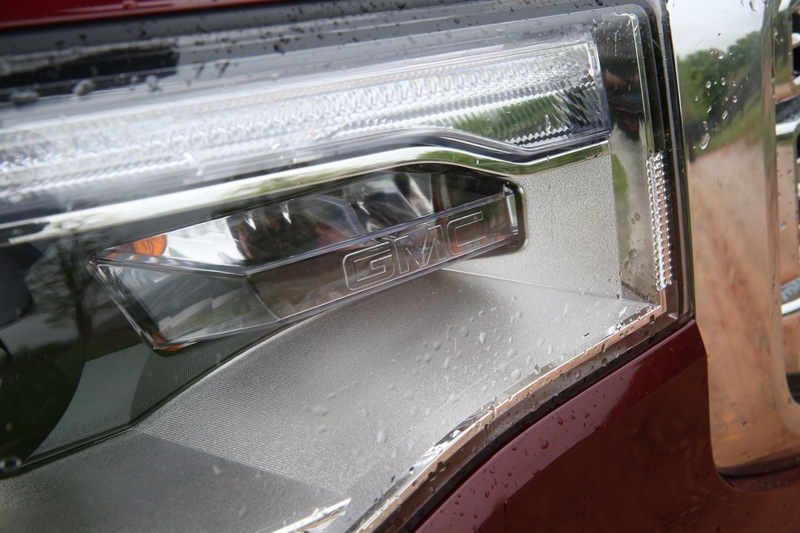 GMC should have been wacked in 2009 bankruptcy. 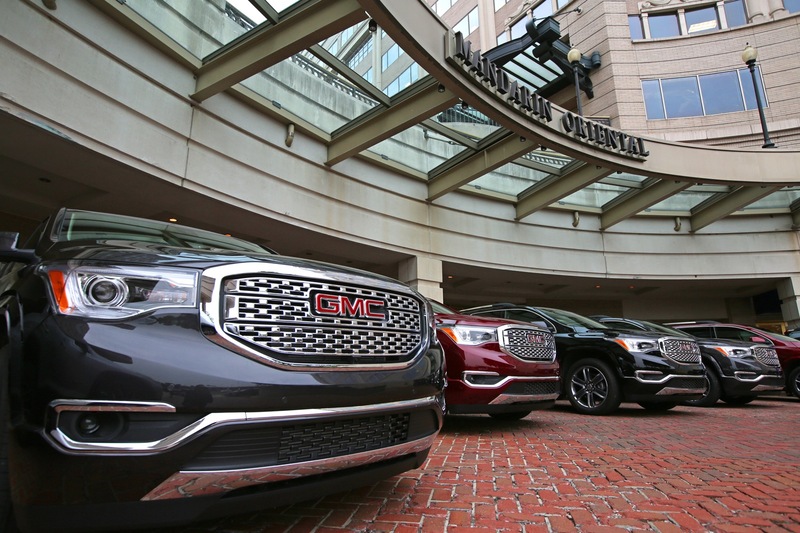 Still too many GM divisions.